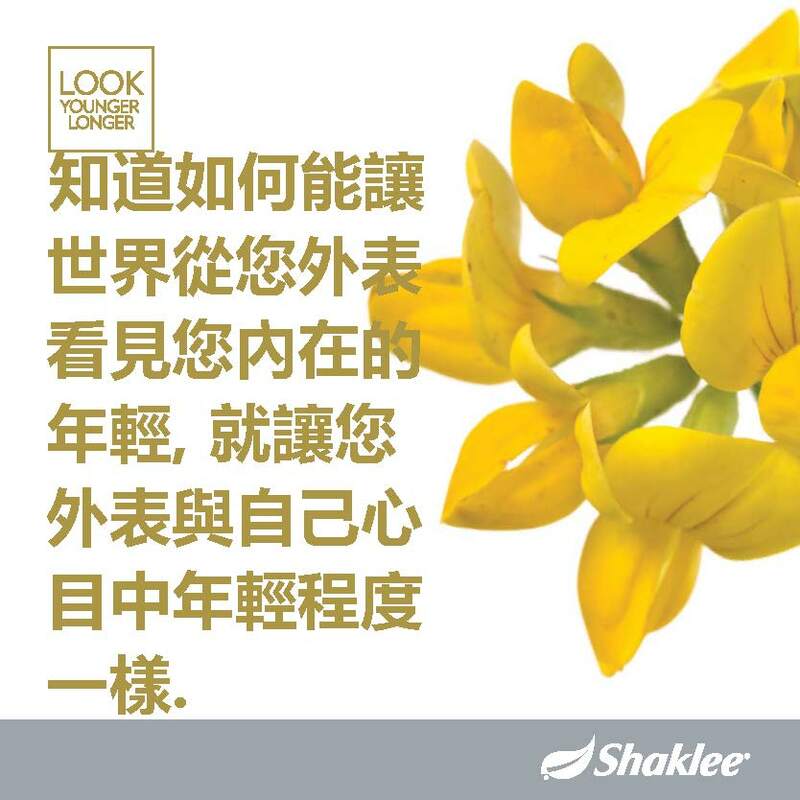 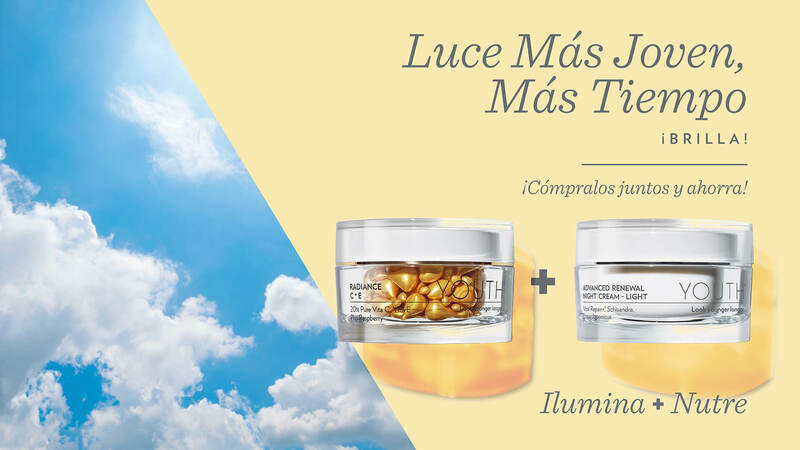 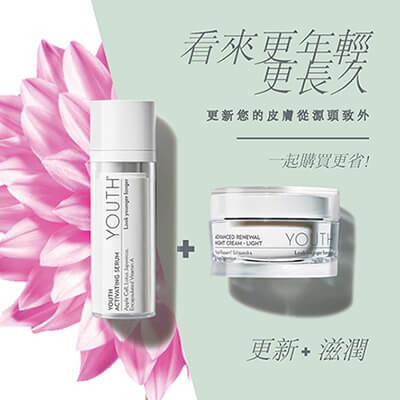 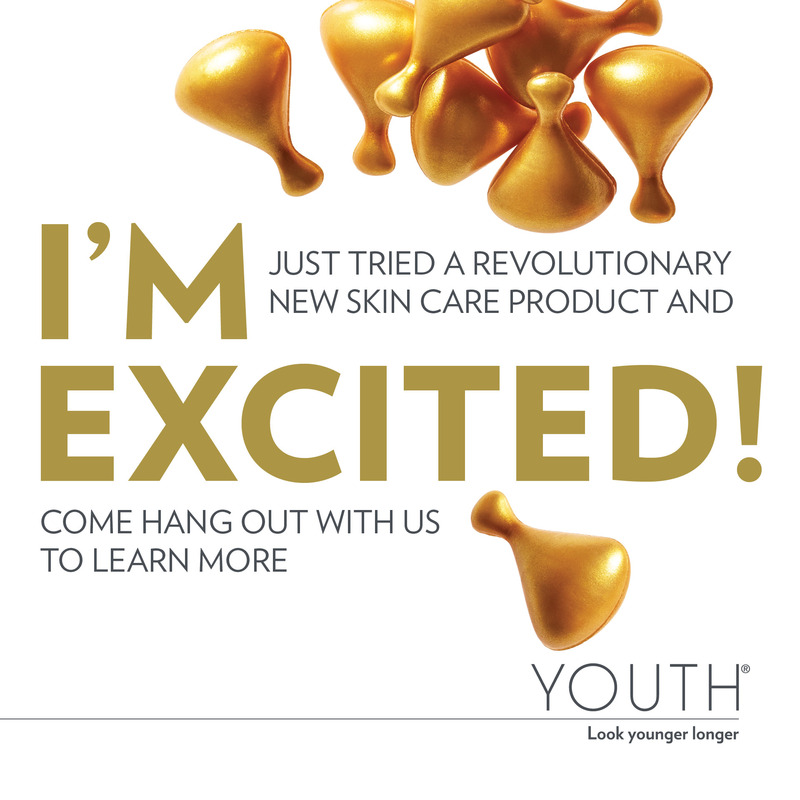 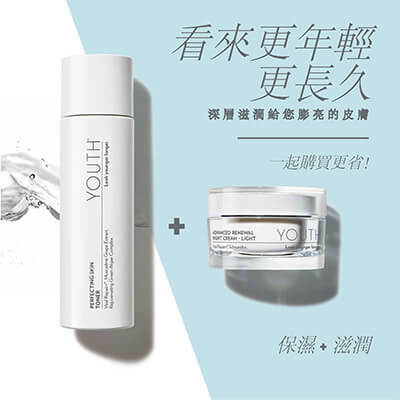 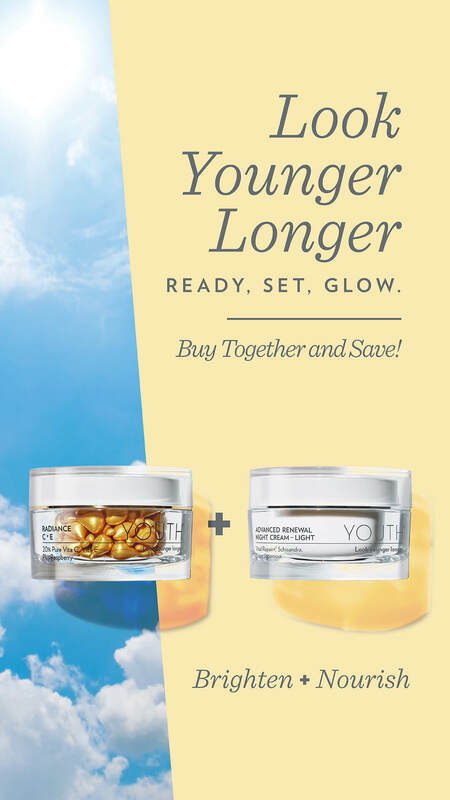 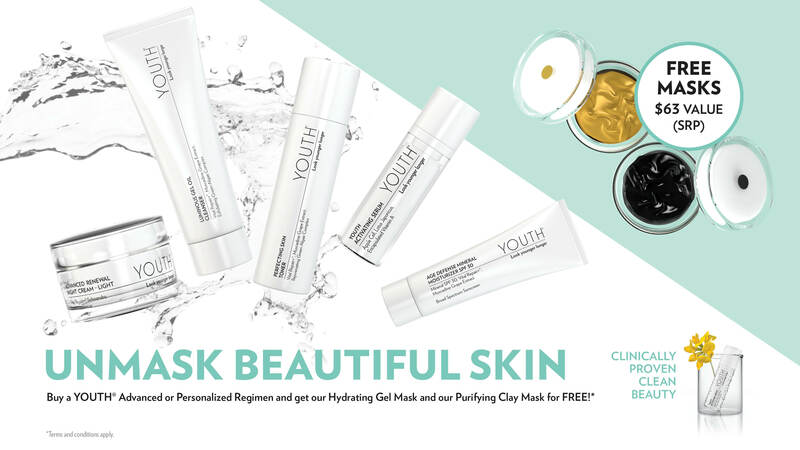 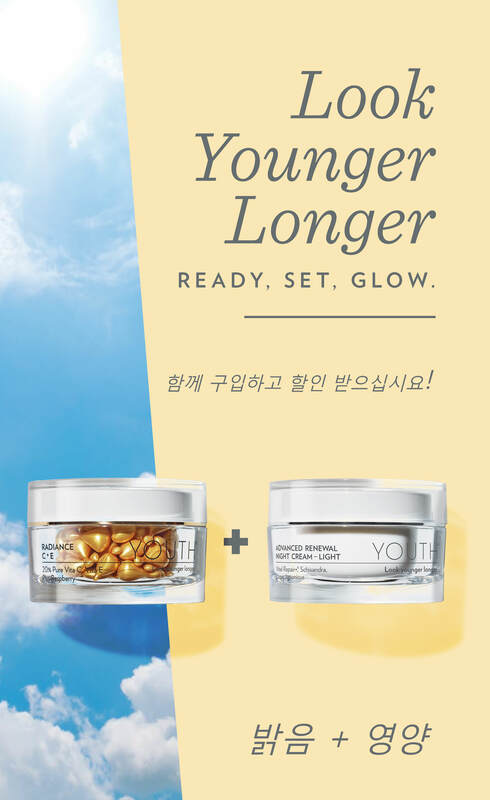 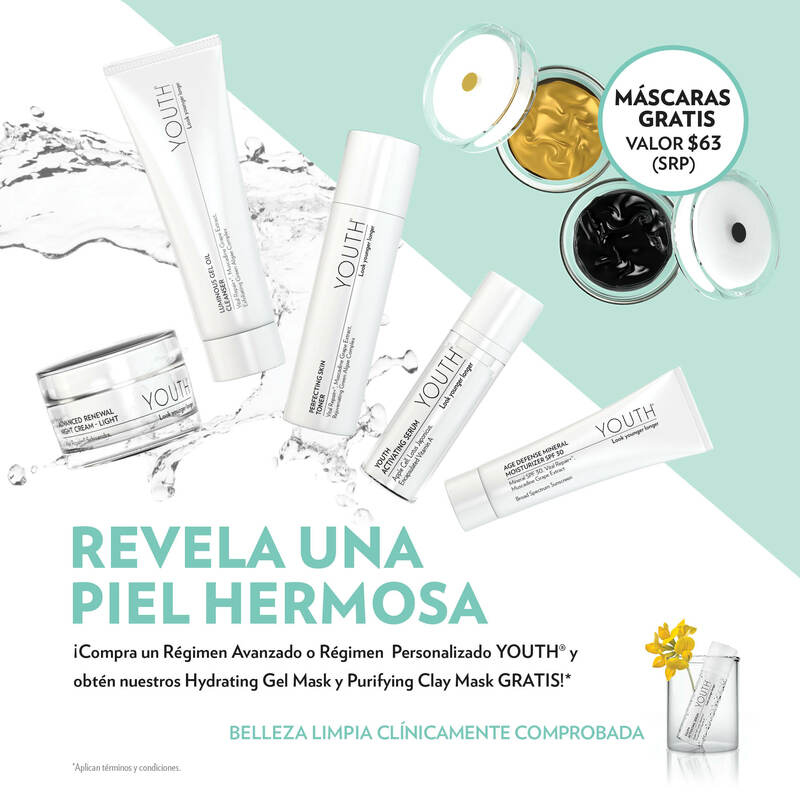 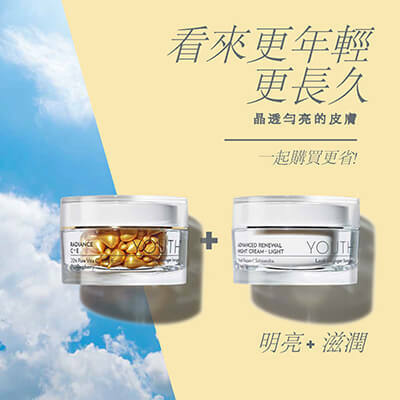 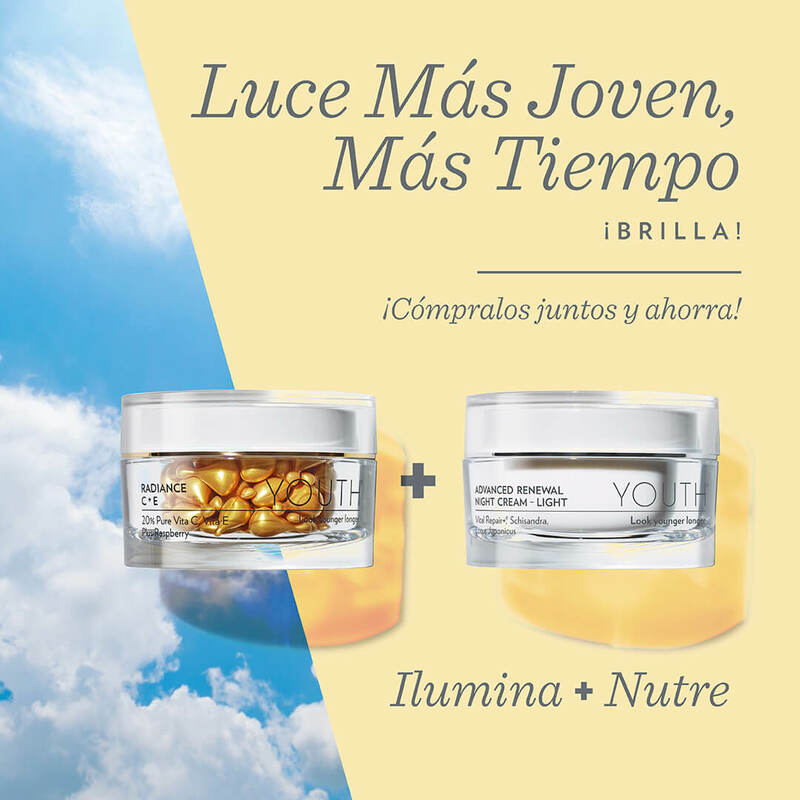 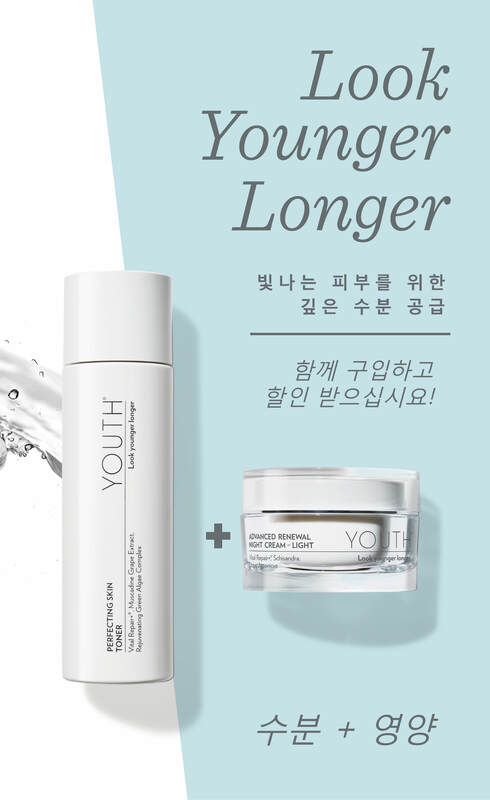 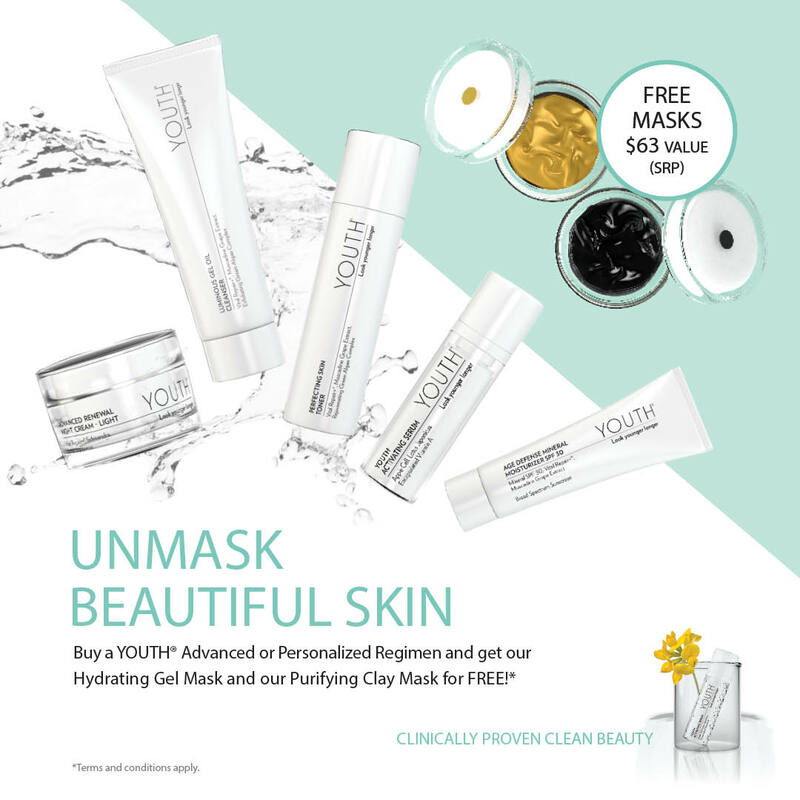 Flyer and social posts promoting YOUTH Mask Special Offer. 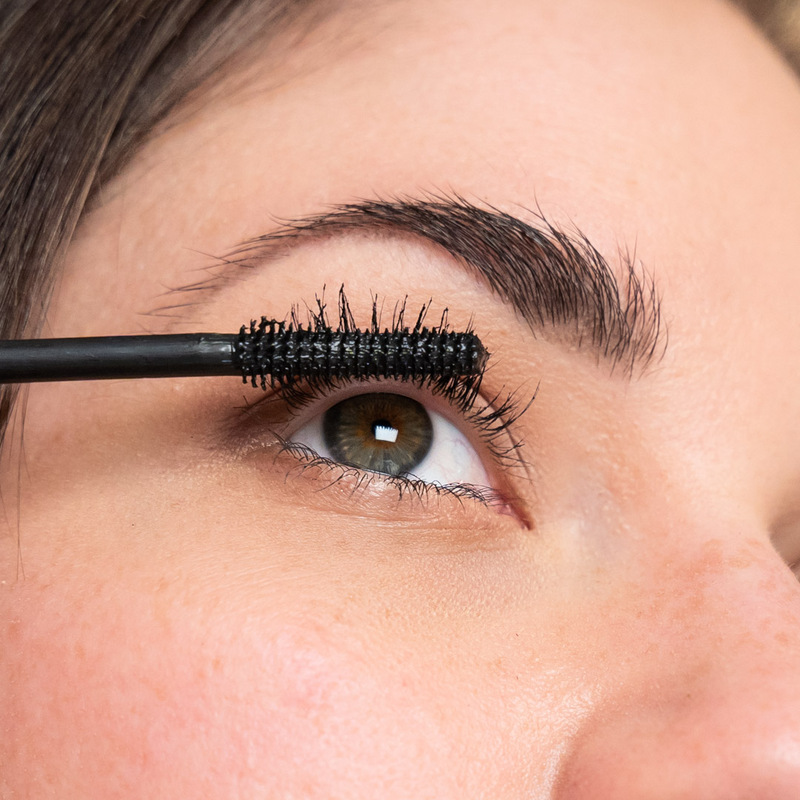 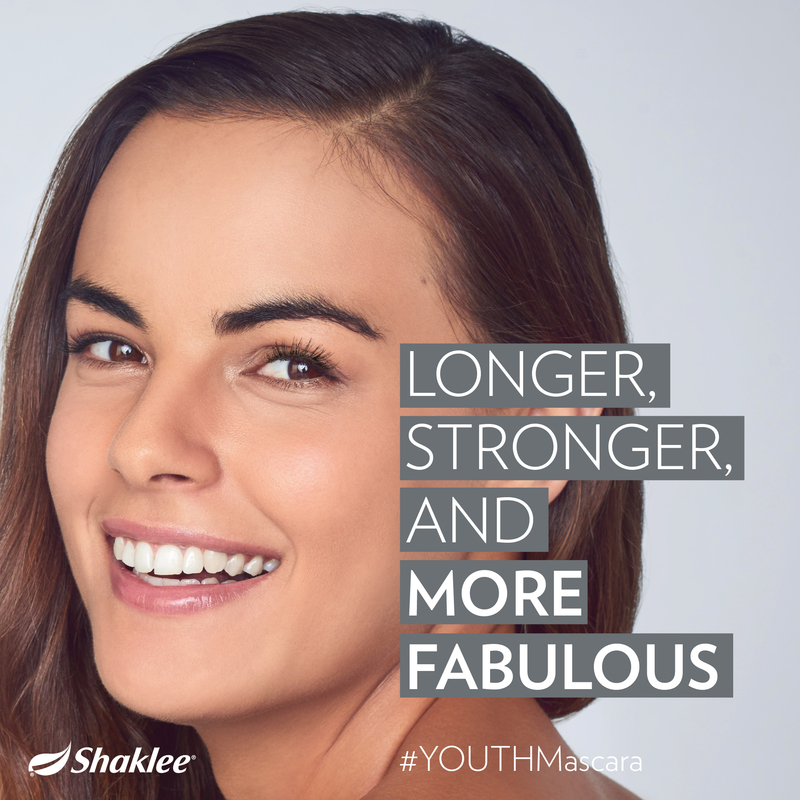 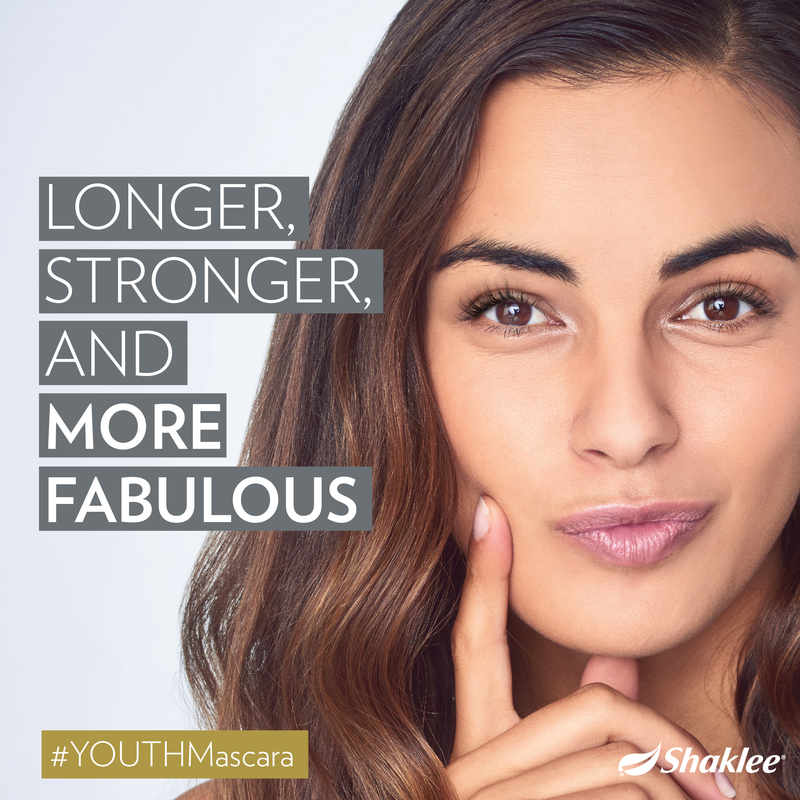 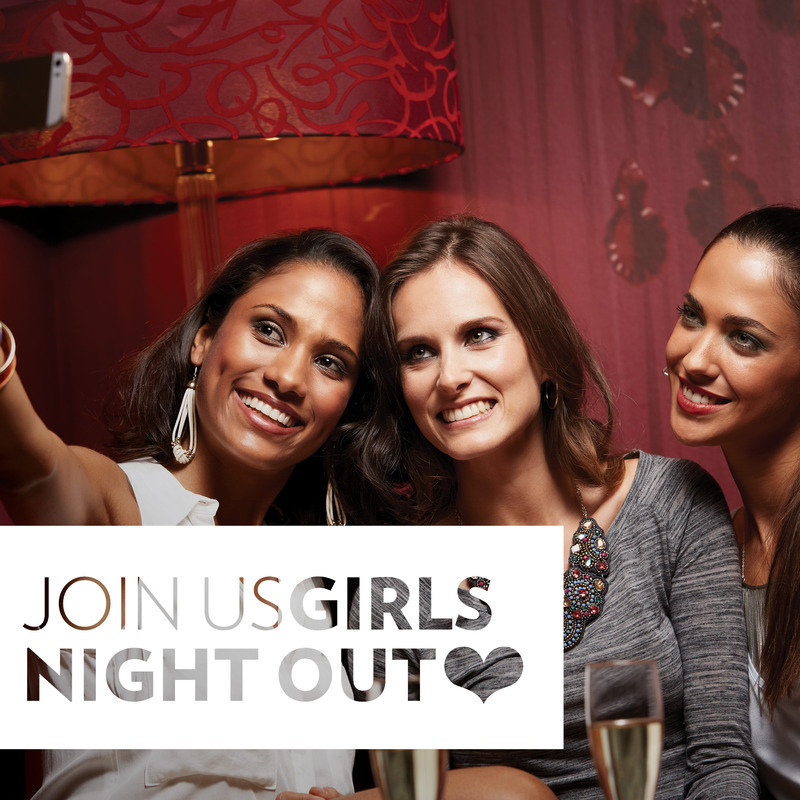 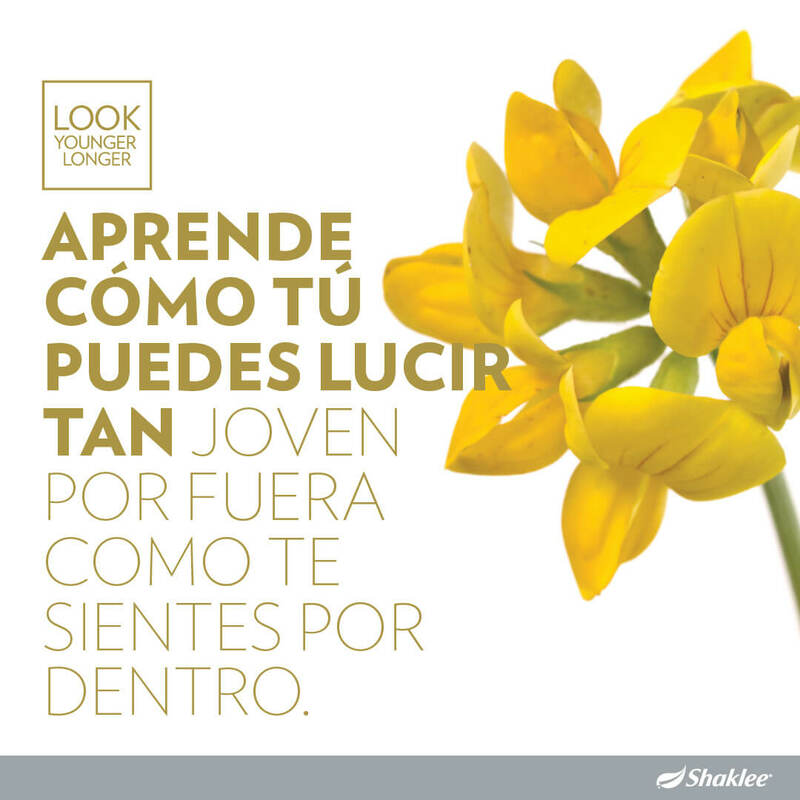 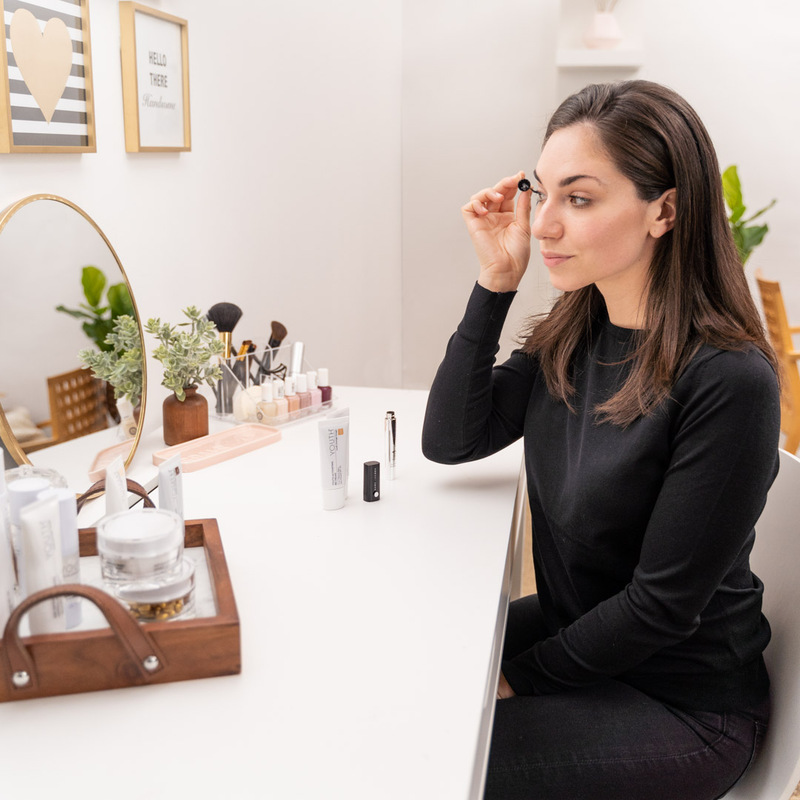 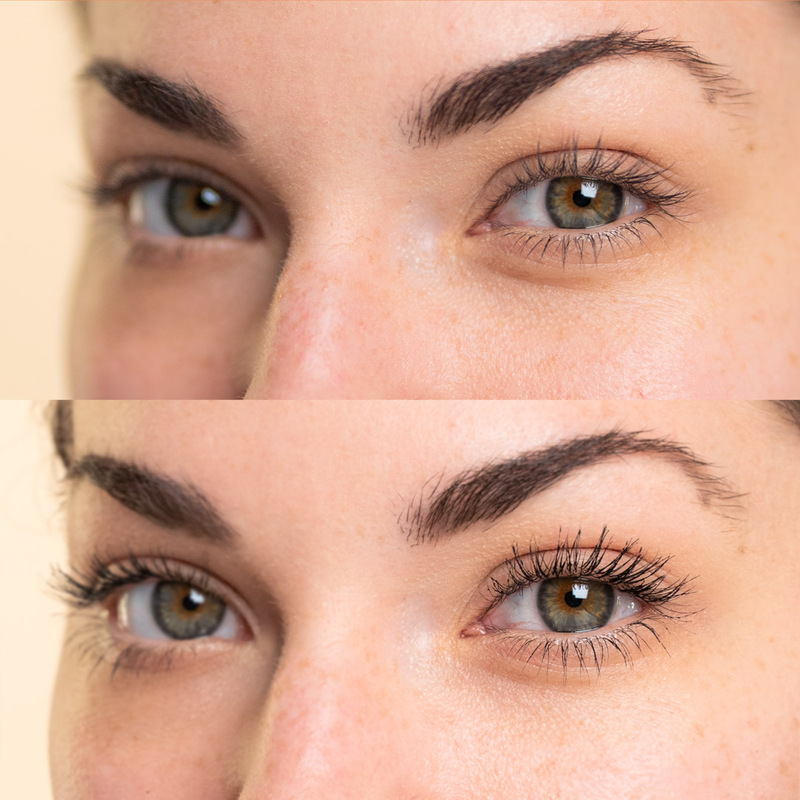 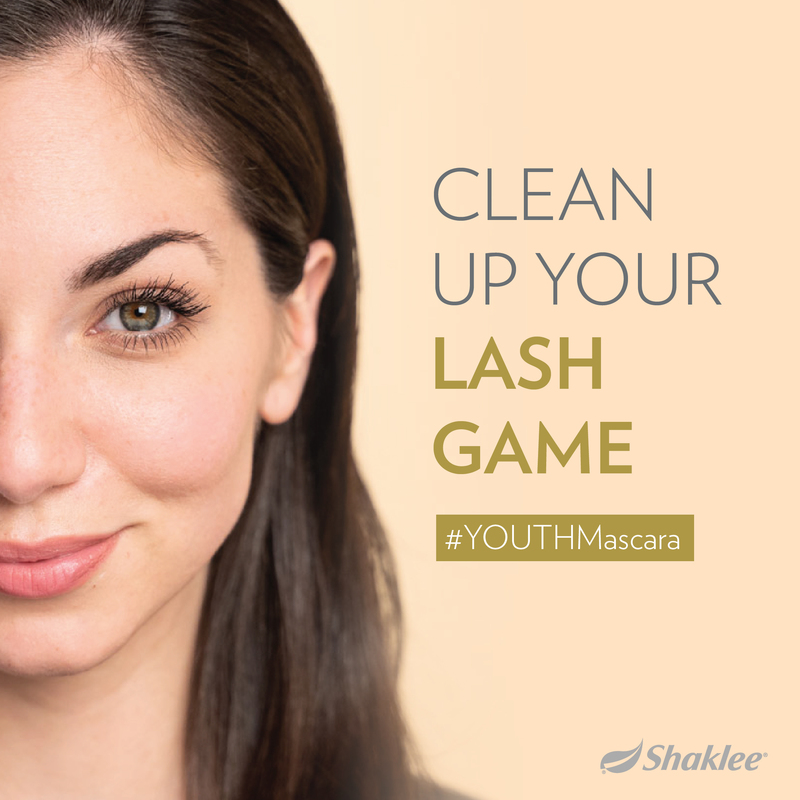 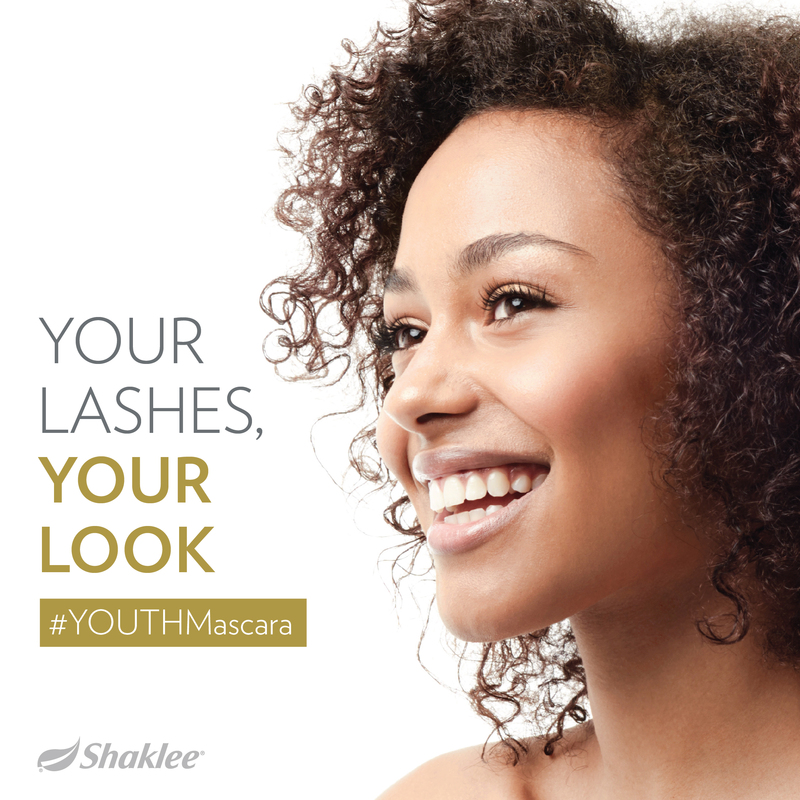 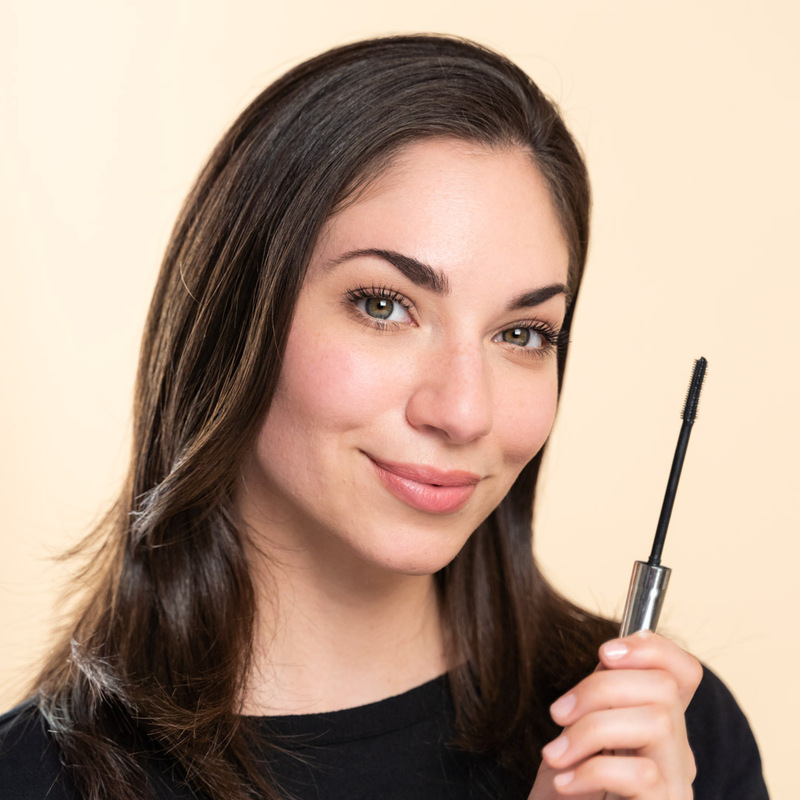 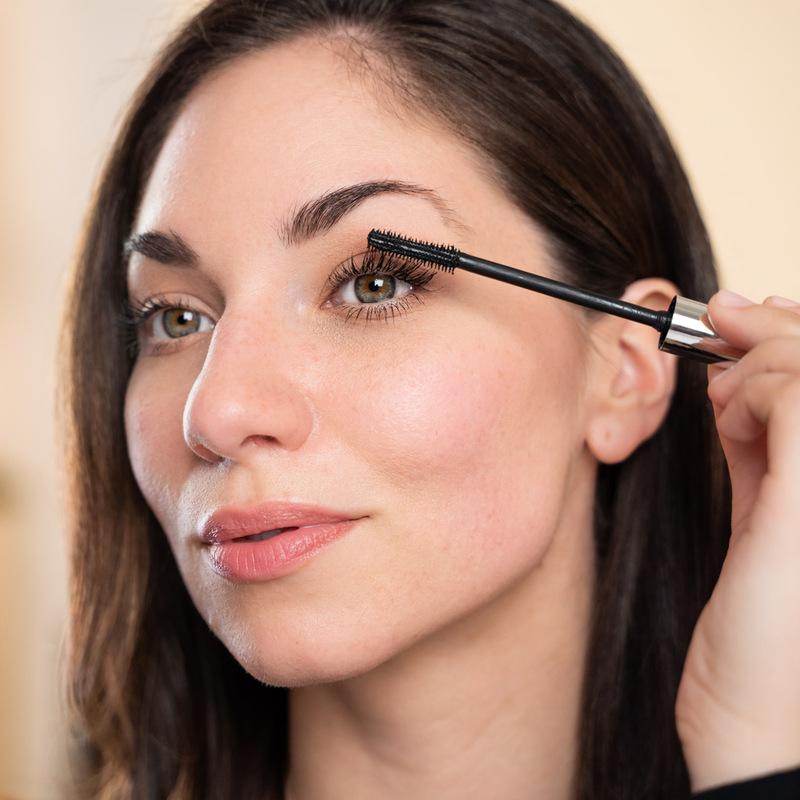 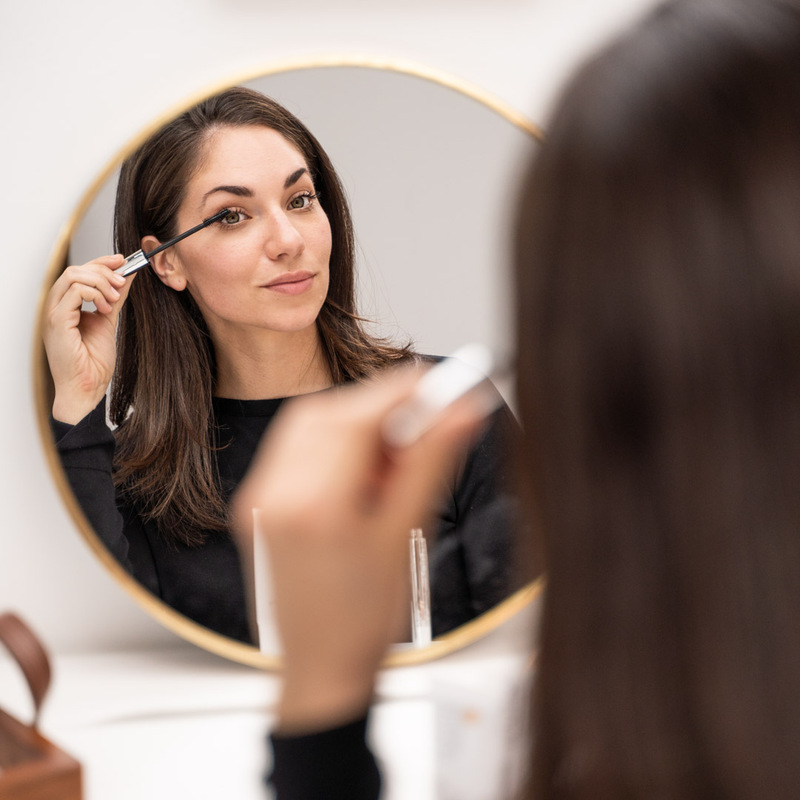 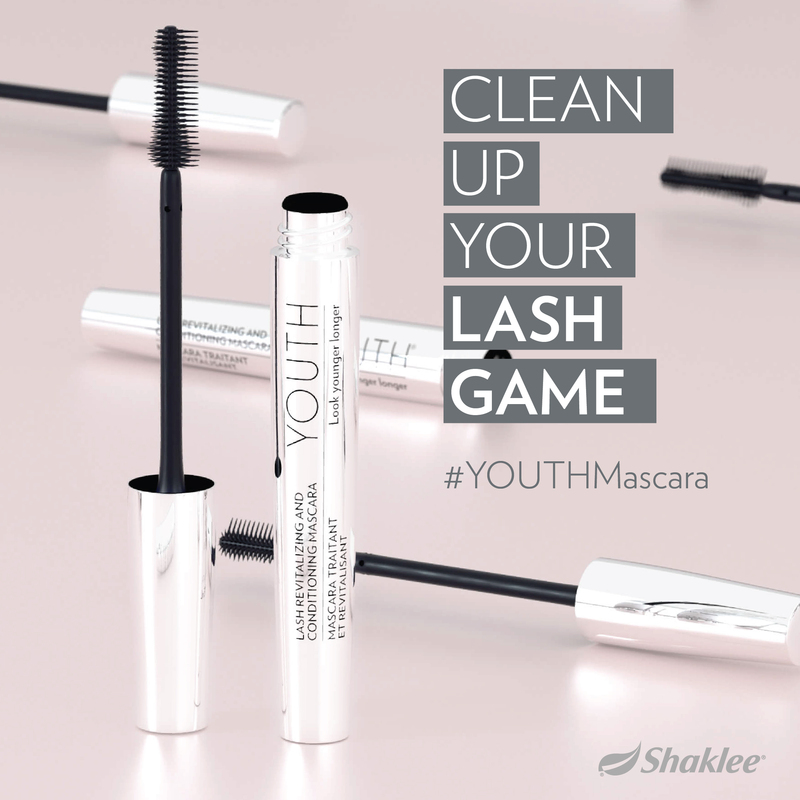 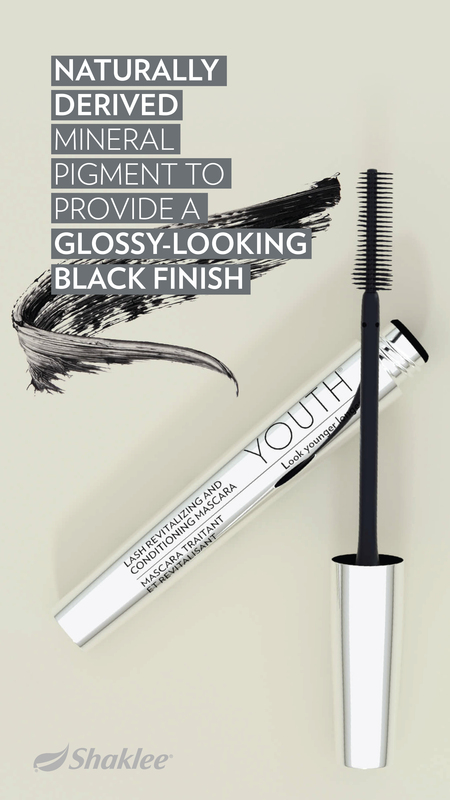 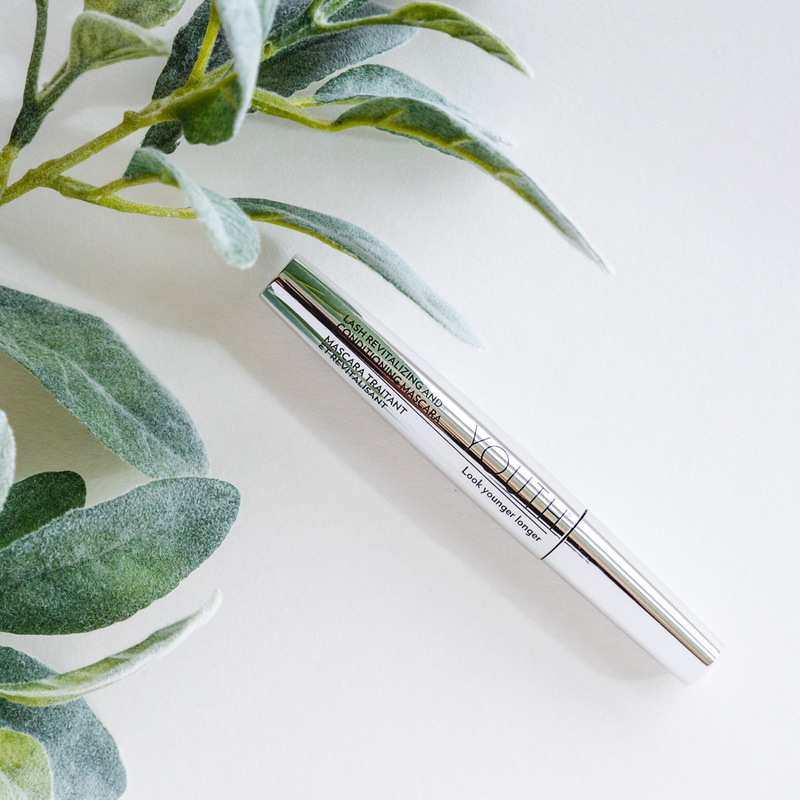 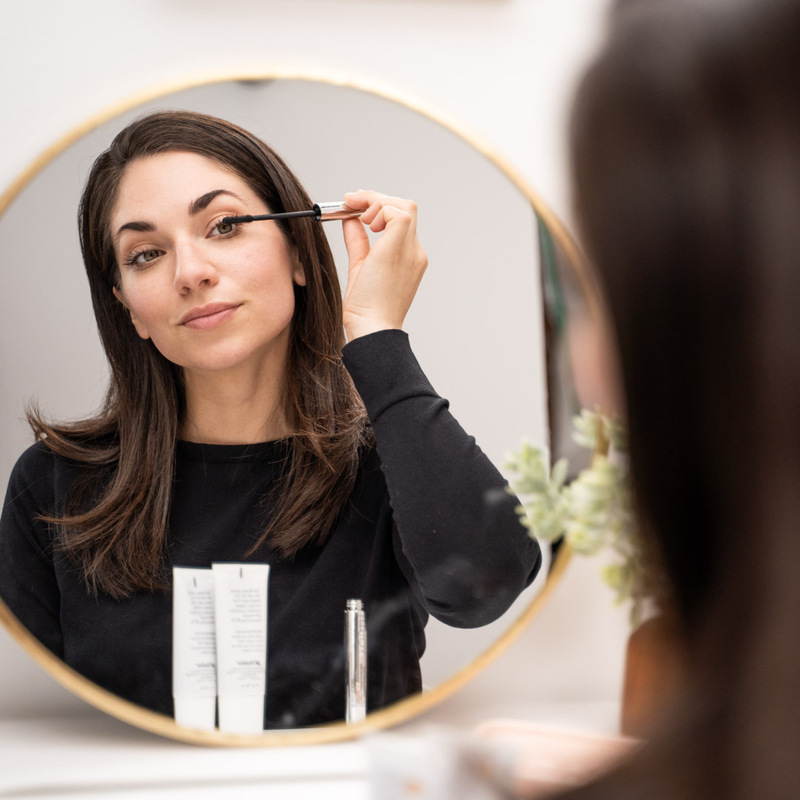 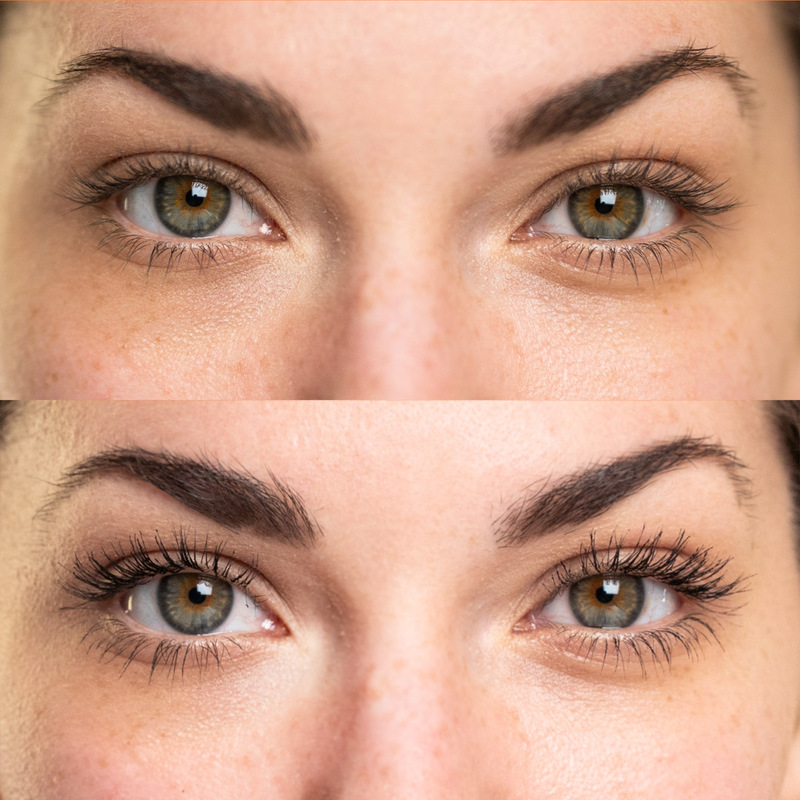 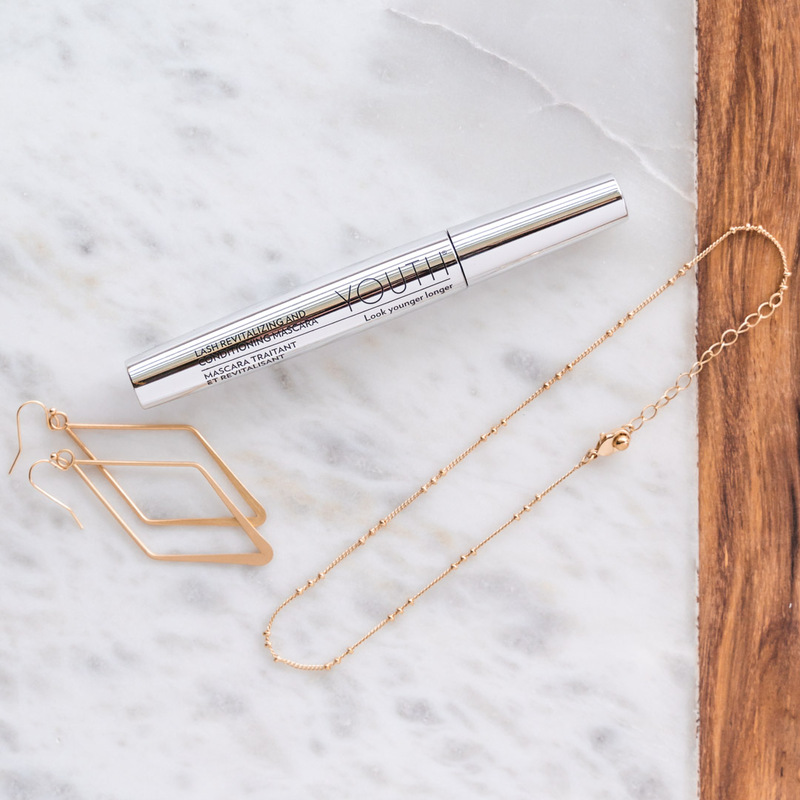 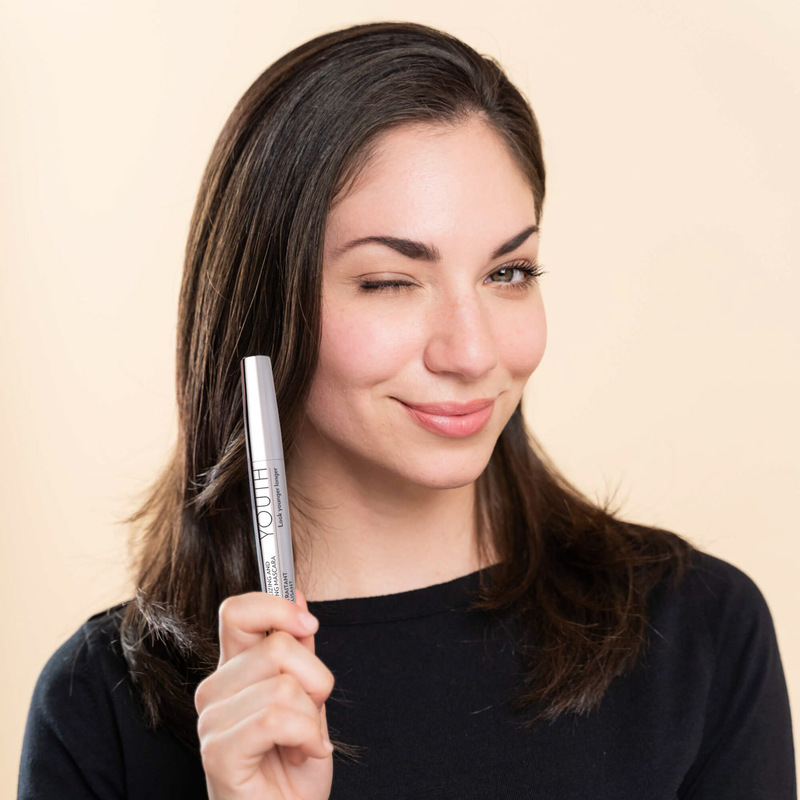 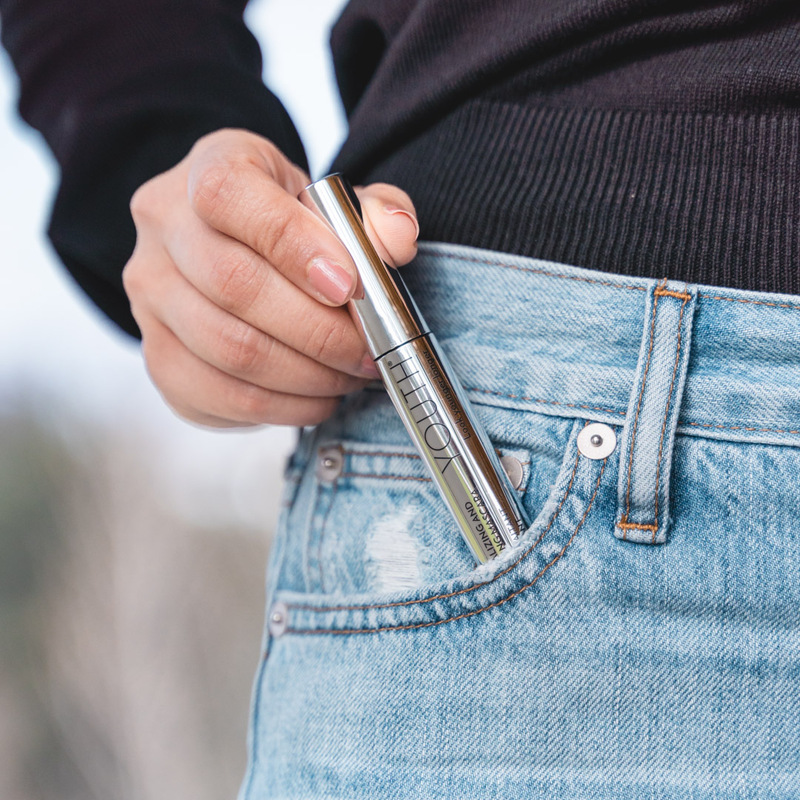 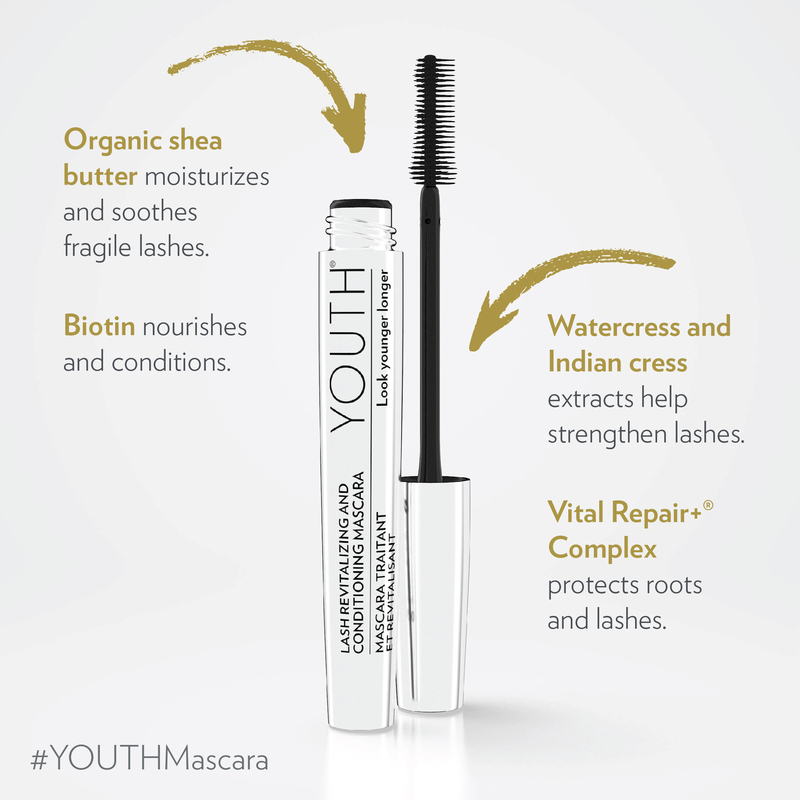 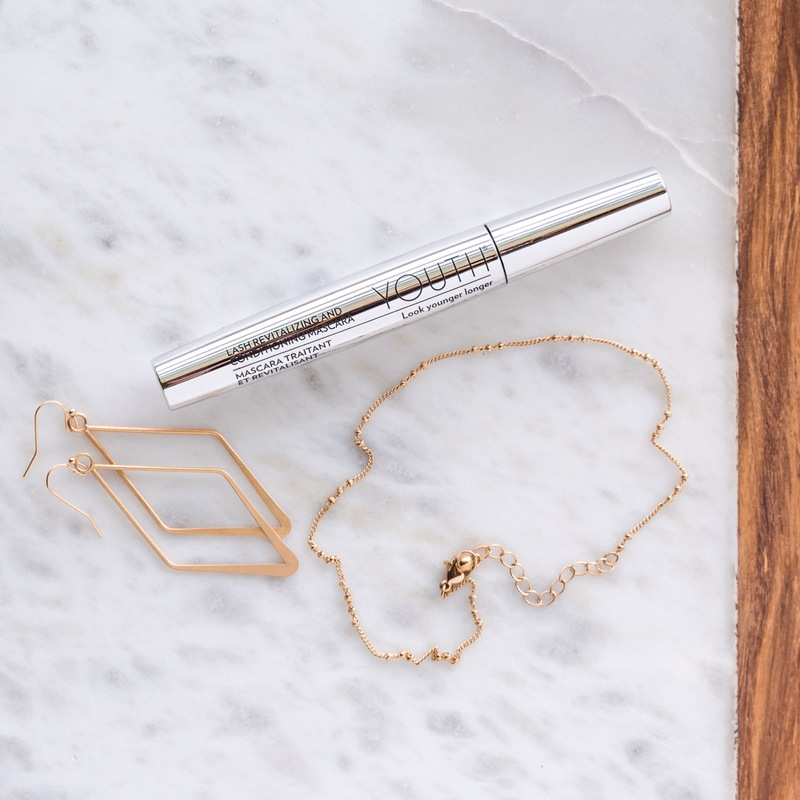 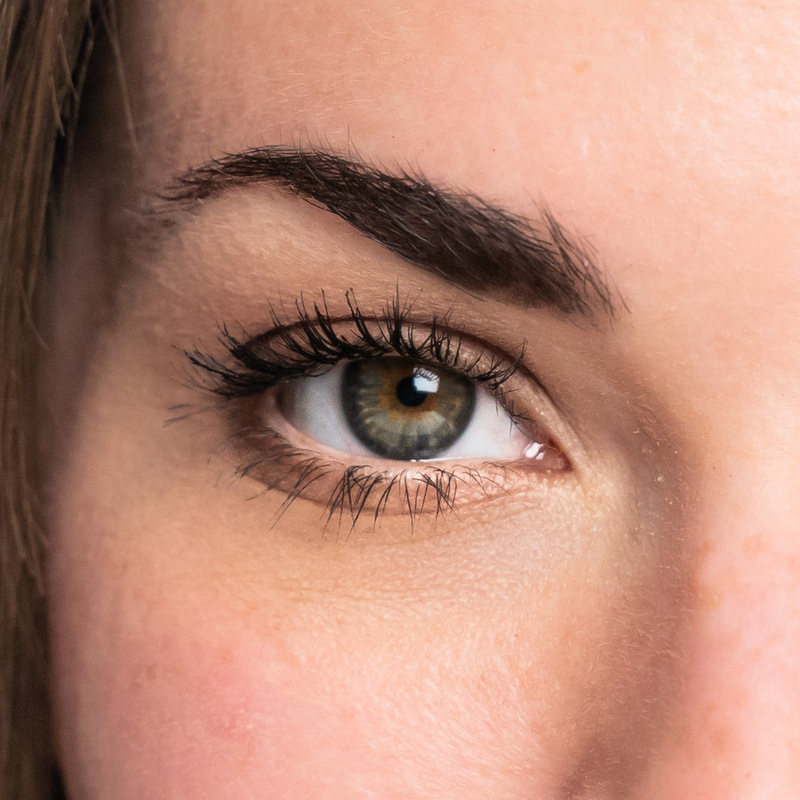 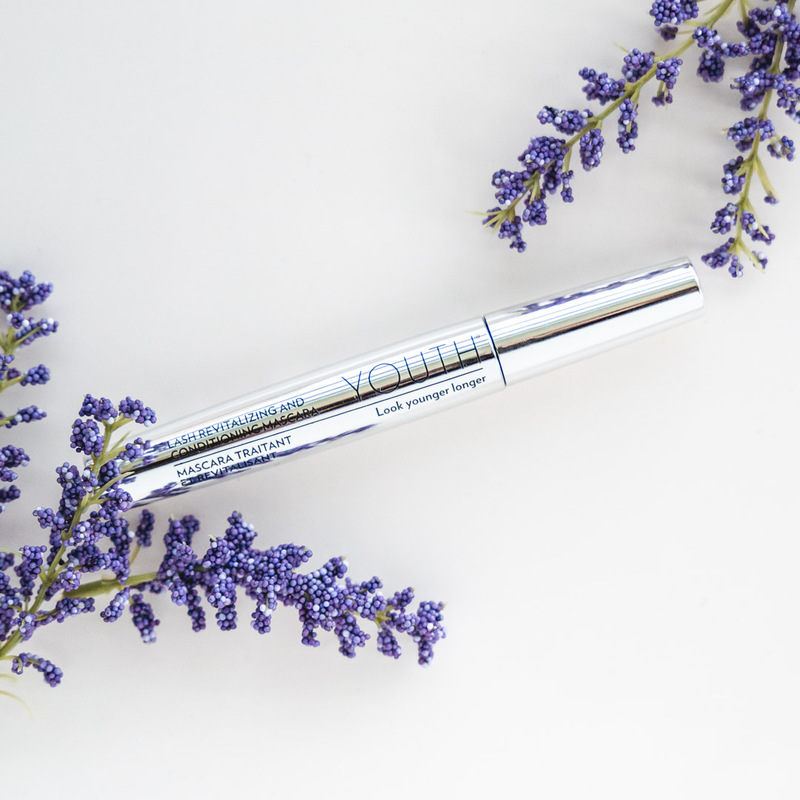 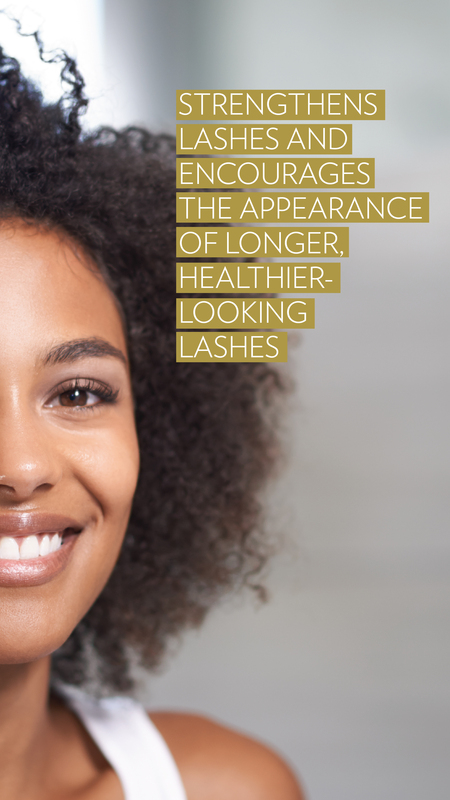 Social posts featuring a variety of benefits statements for YOUTH® Lash Revitalizing & Conditioning Mascara. 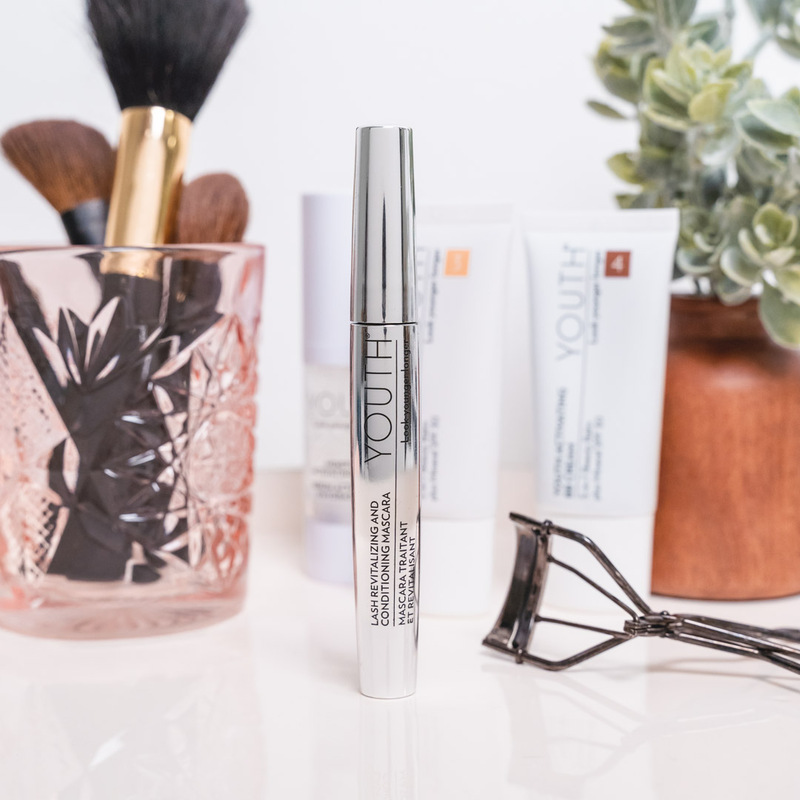 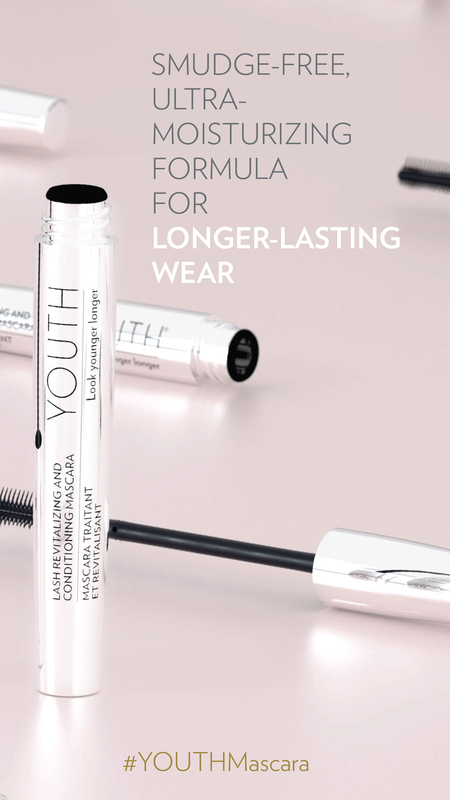 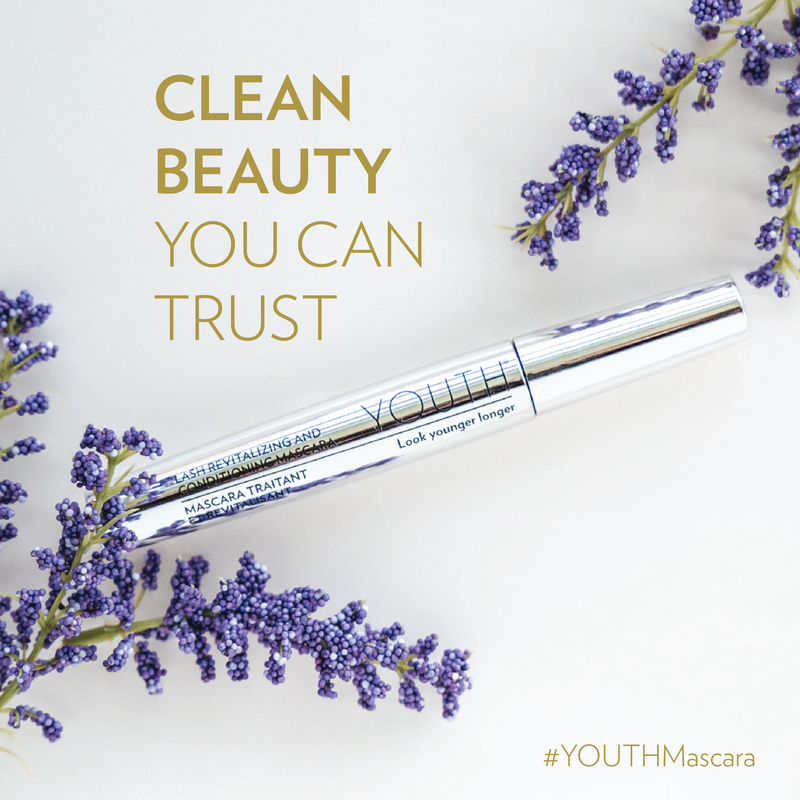 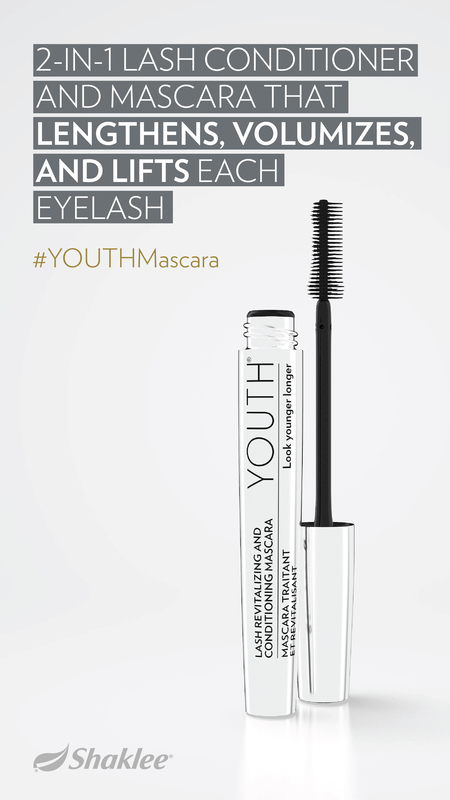 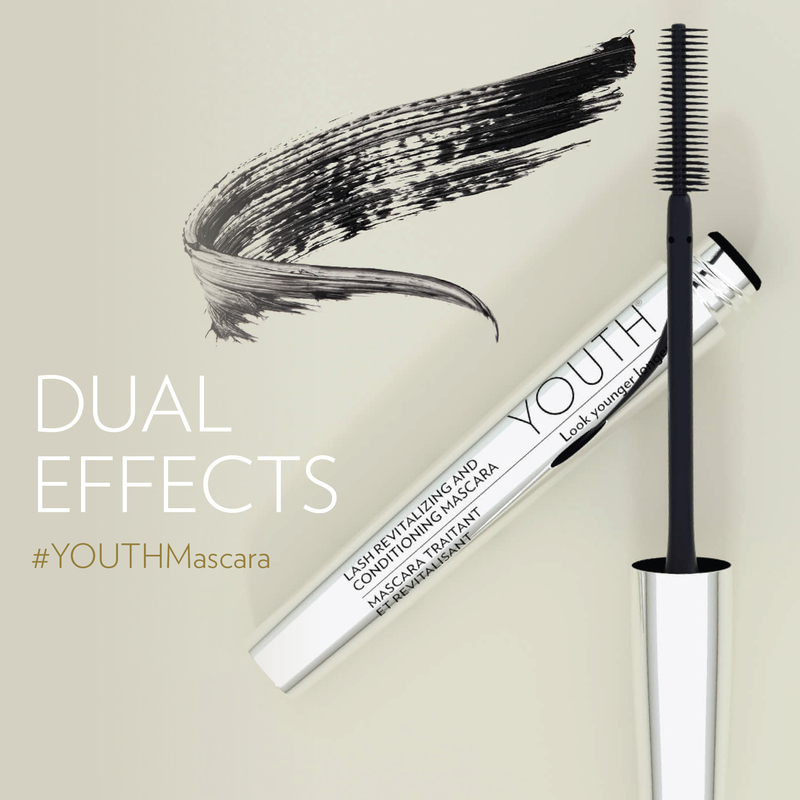 Series of images featuring products the new YOUTH® Mascara. 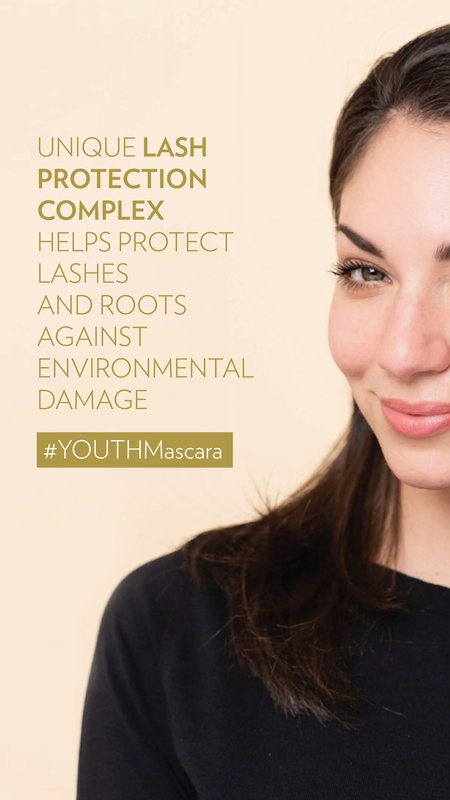 Infographic outlining usage of YOUTH Targeted Treatments. 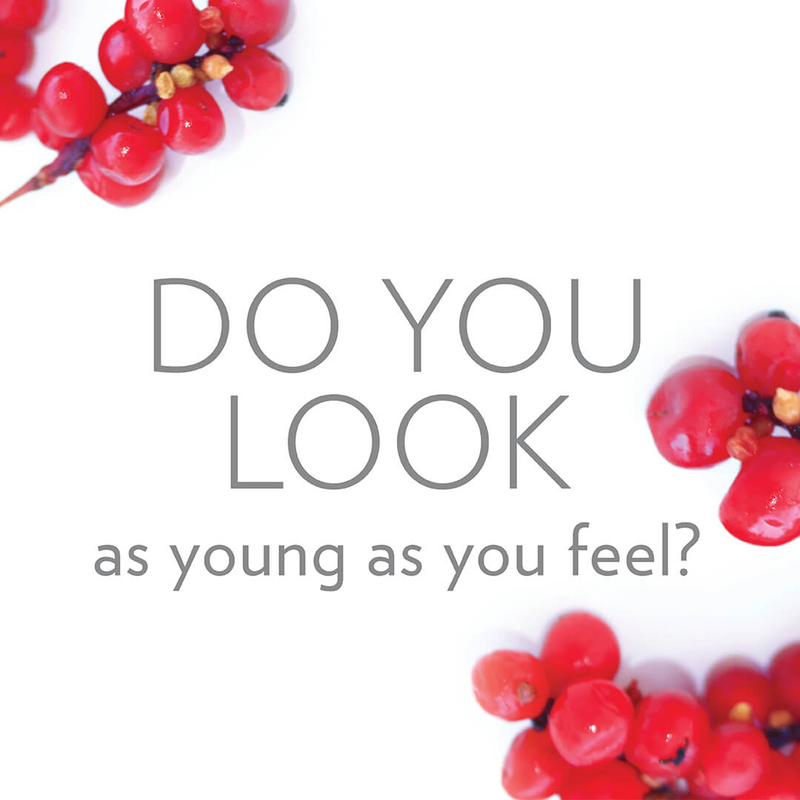 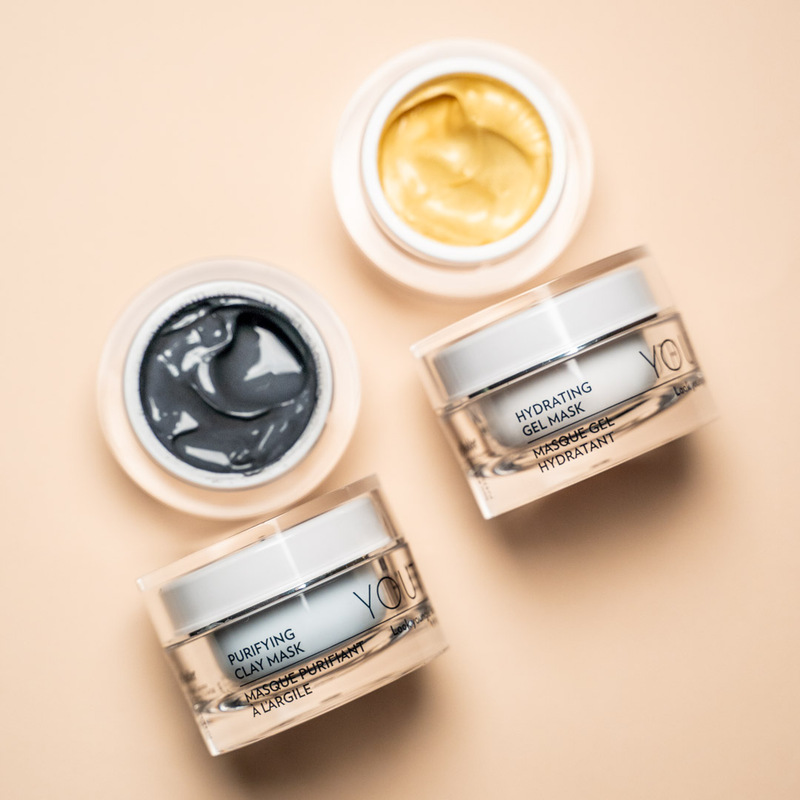 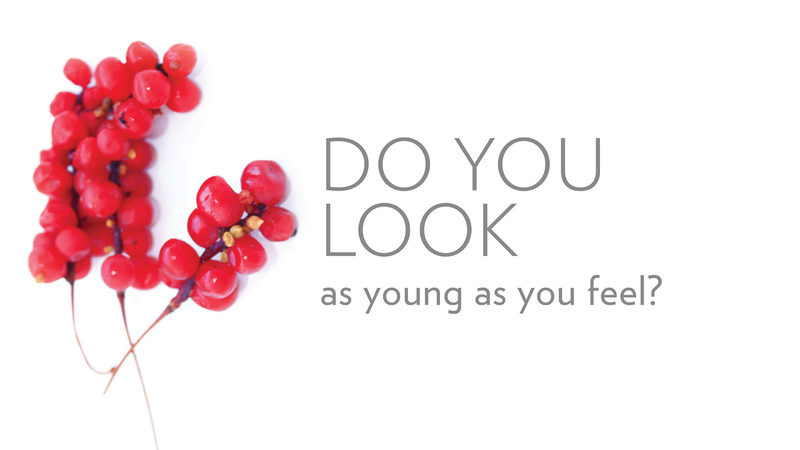 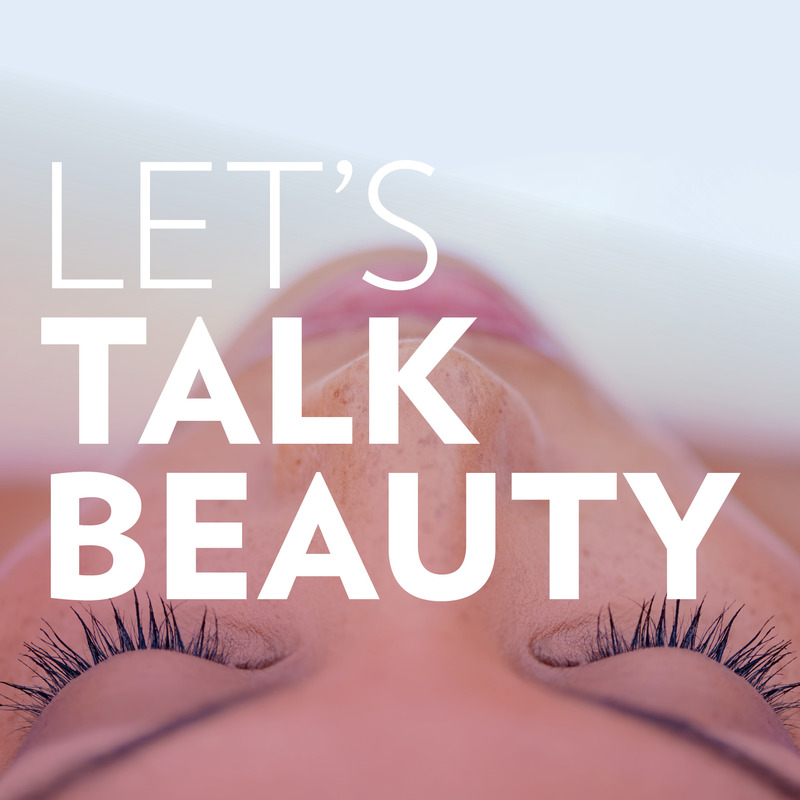 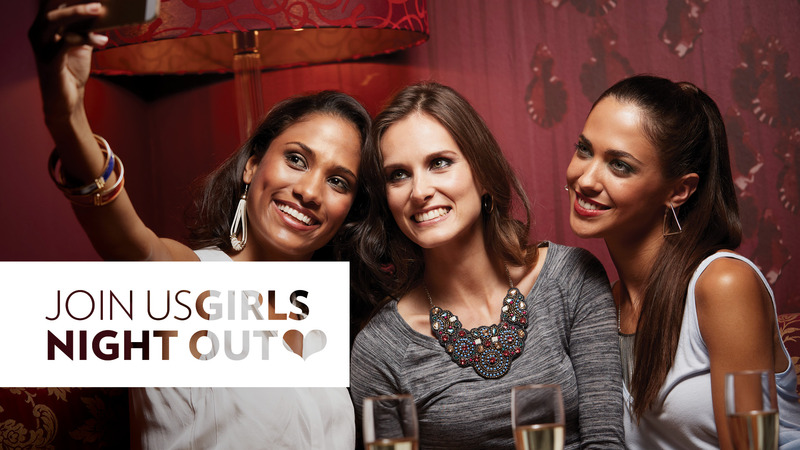 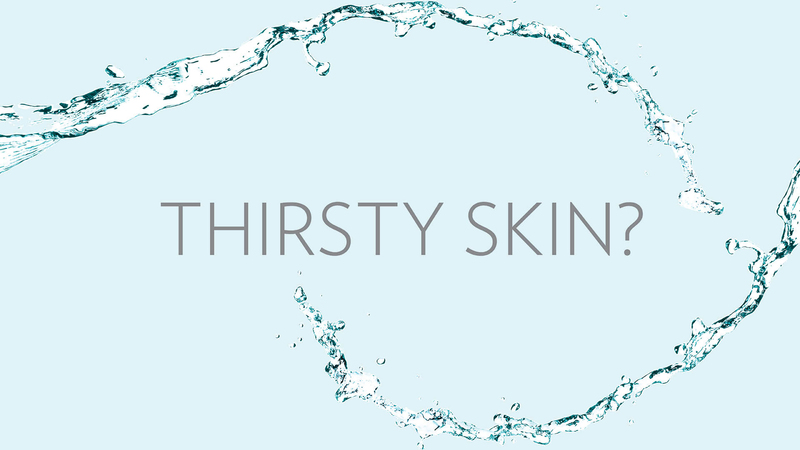 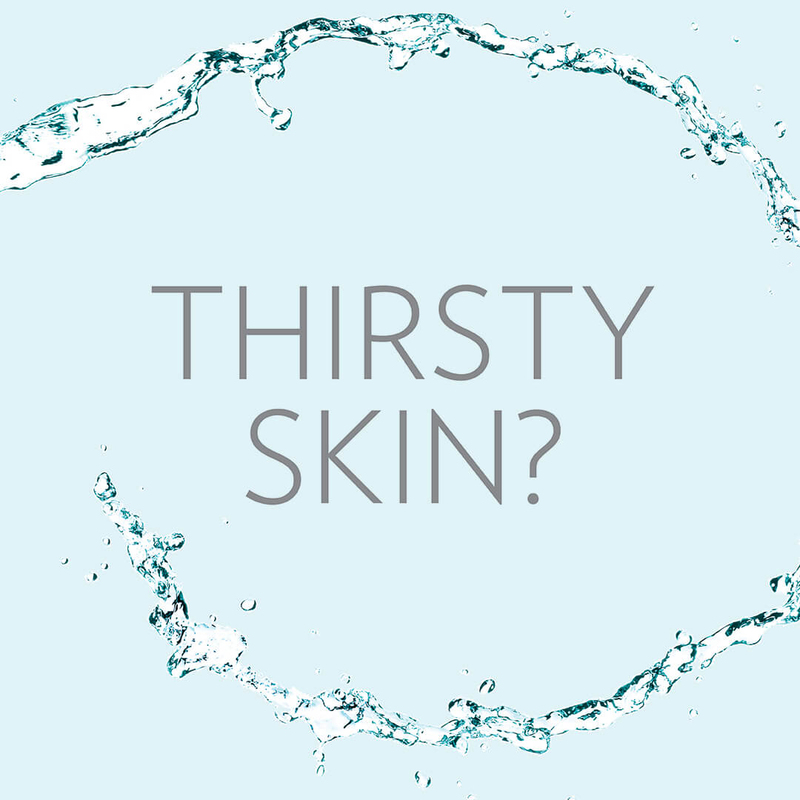 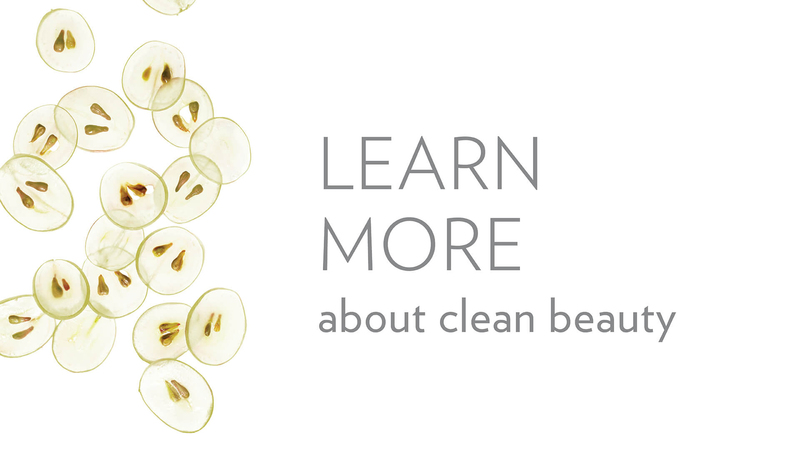 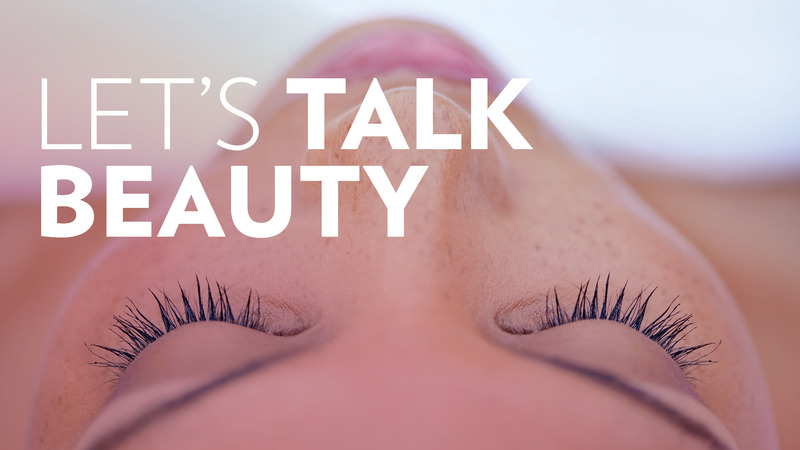 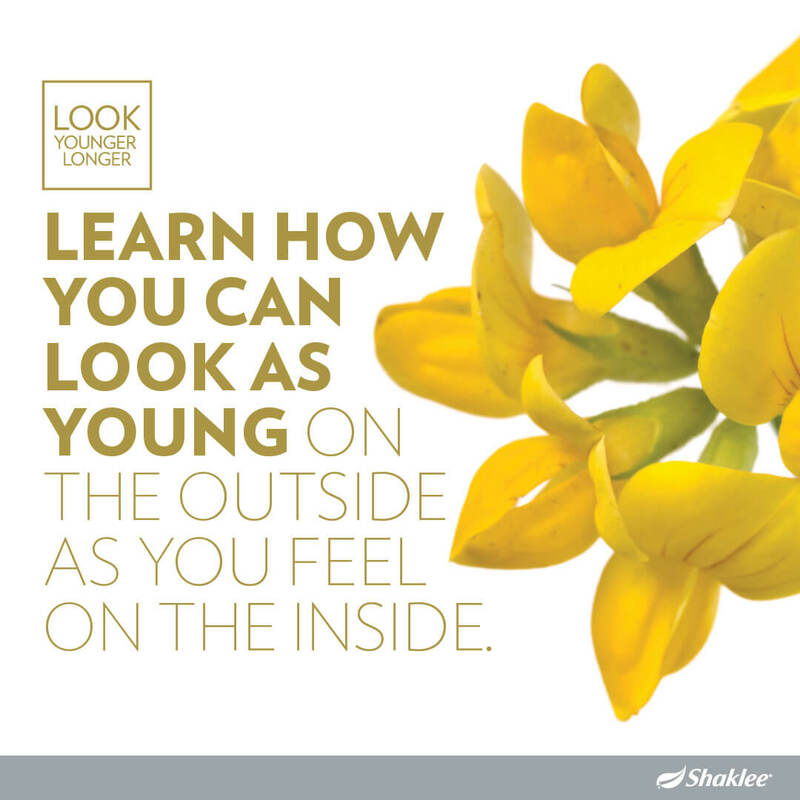 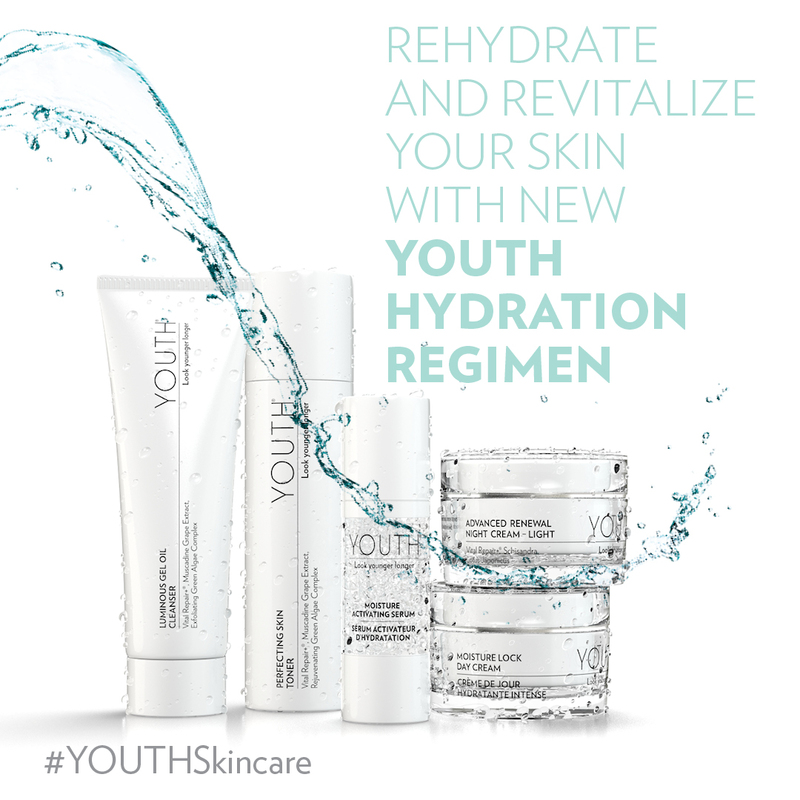 Identify your skin type and skin concerns to select the YOUTH Regimen that will suit your individual needs. 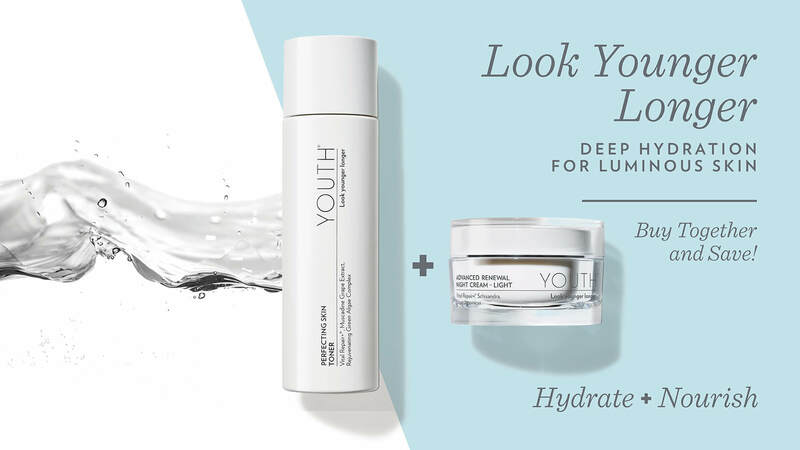 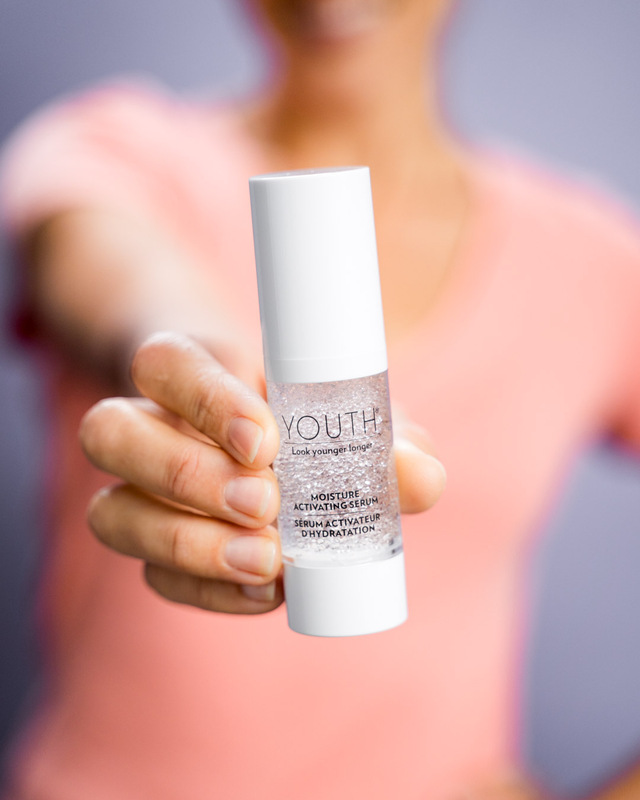 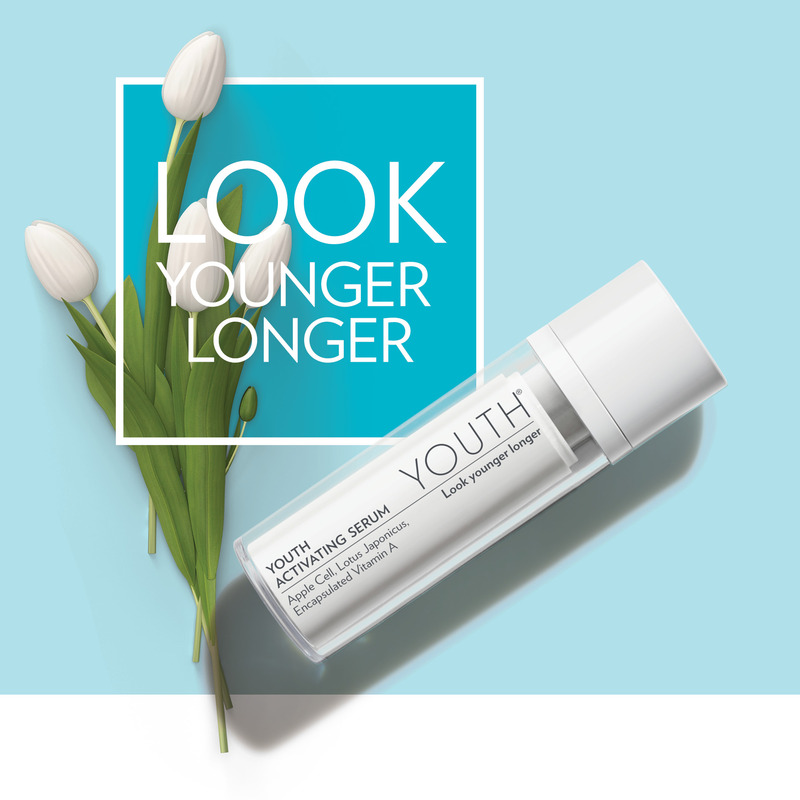 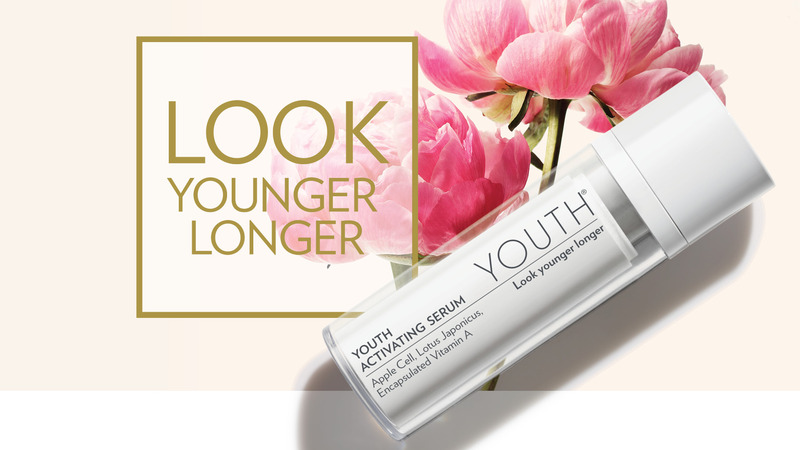 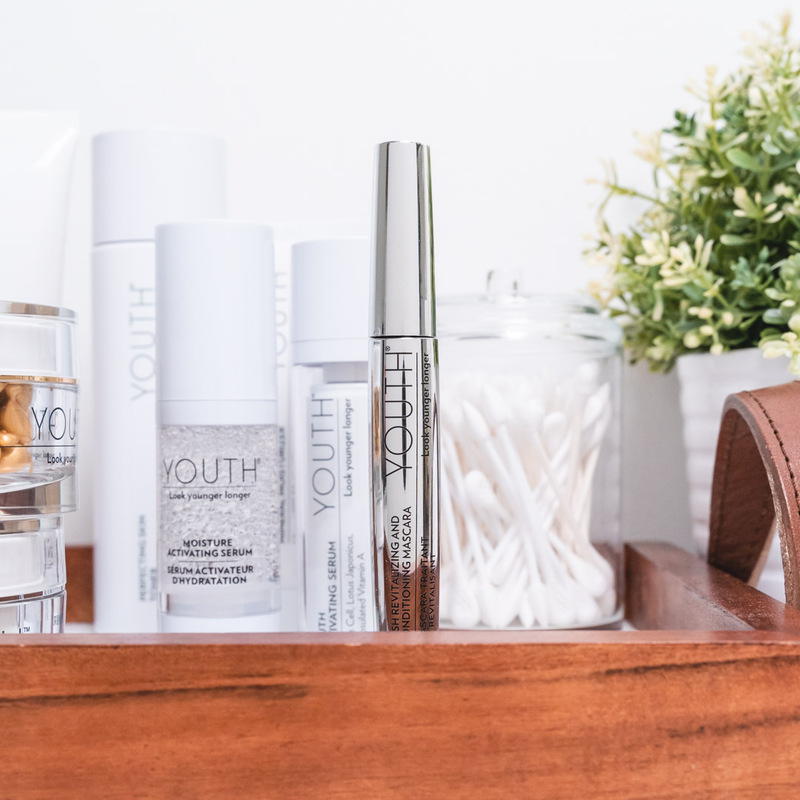 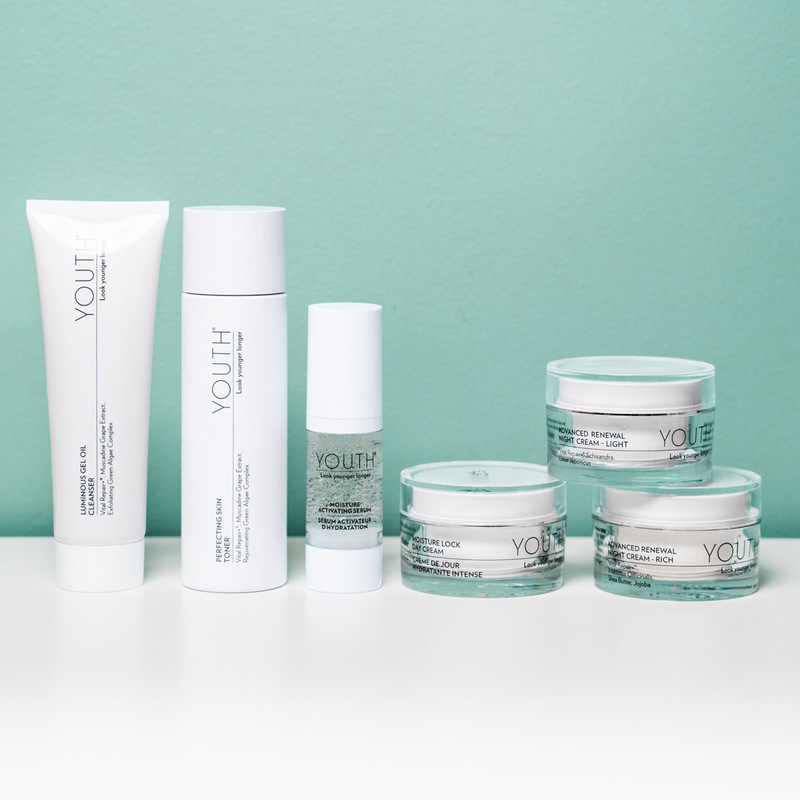 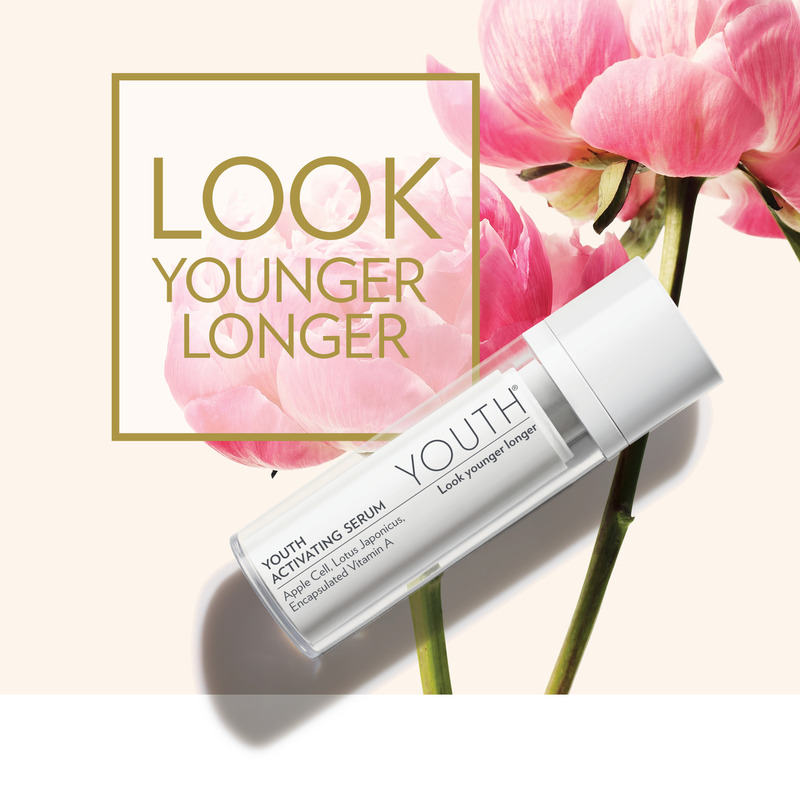 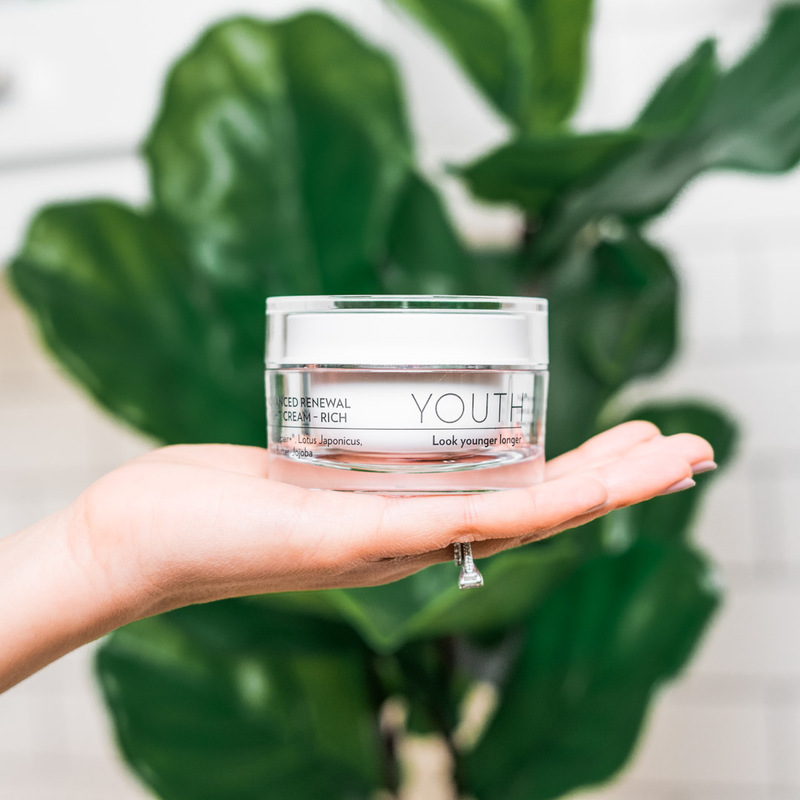 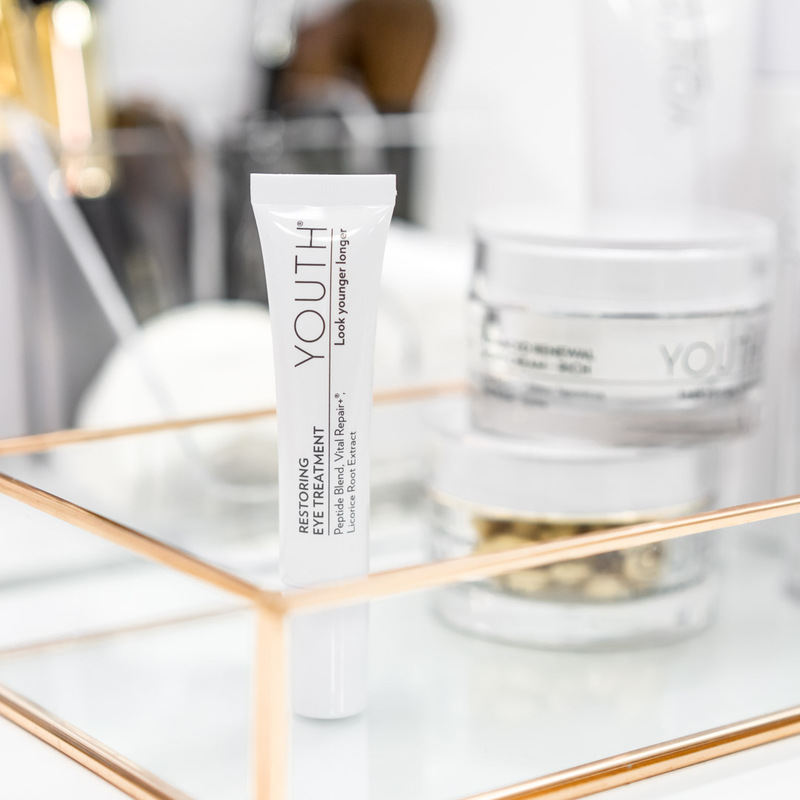 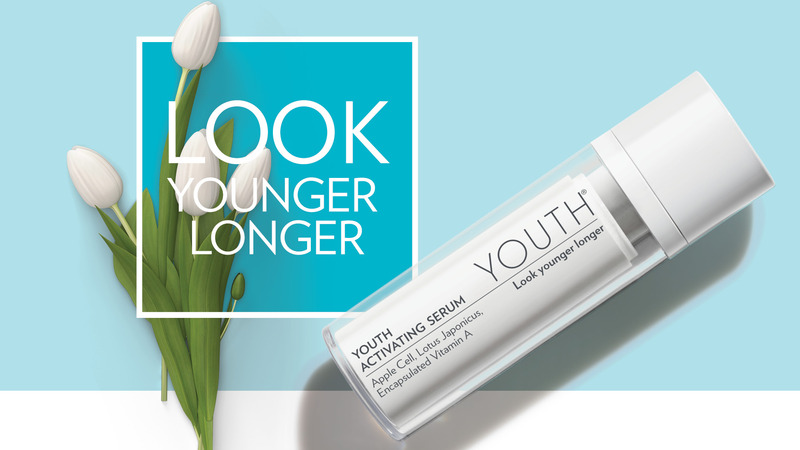 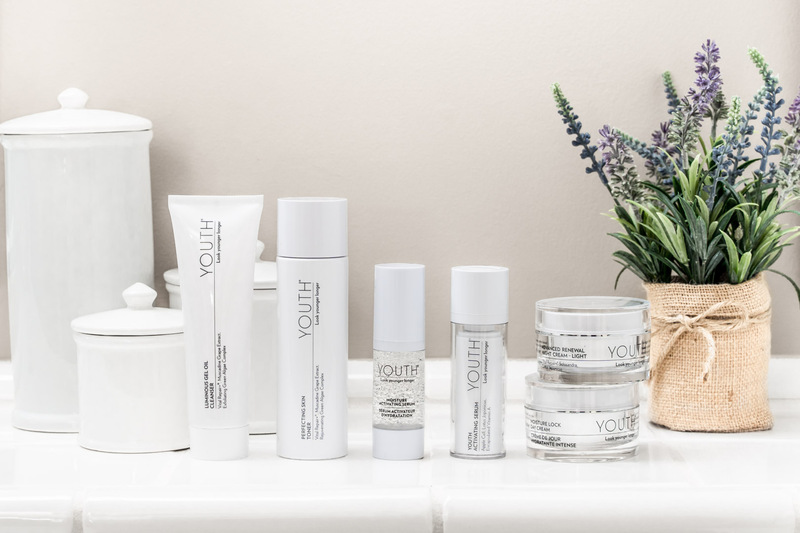 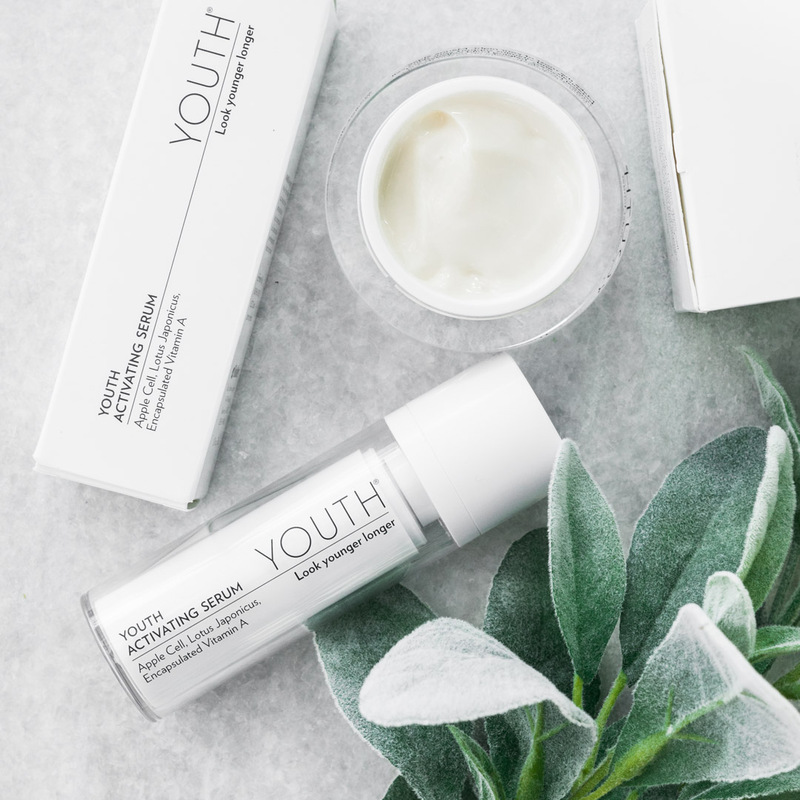 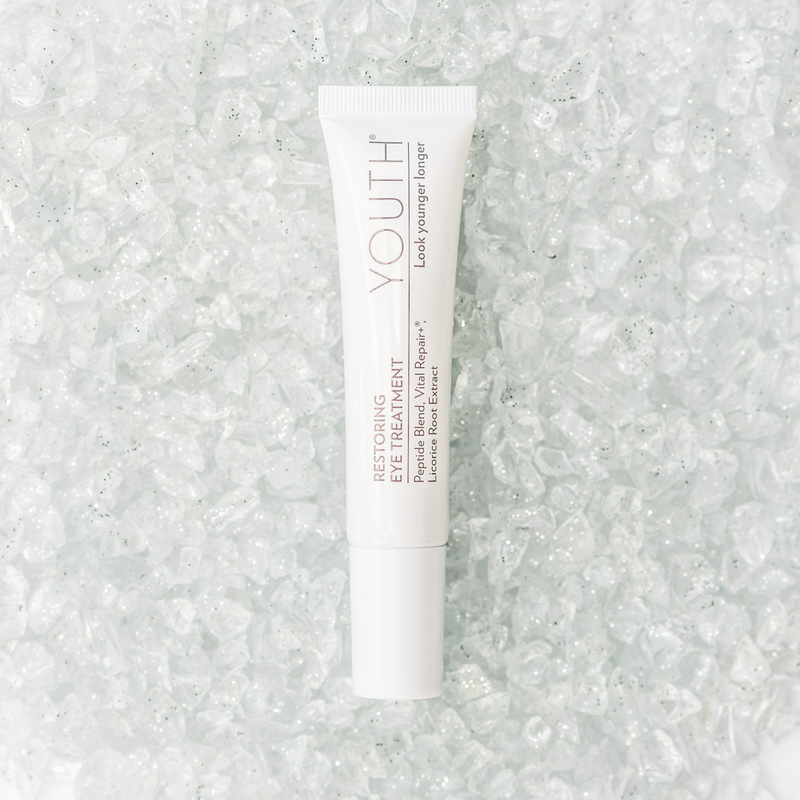 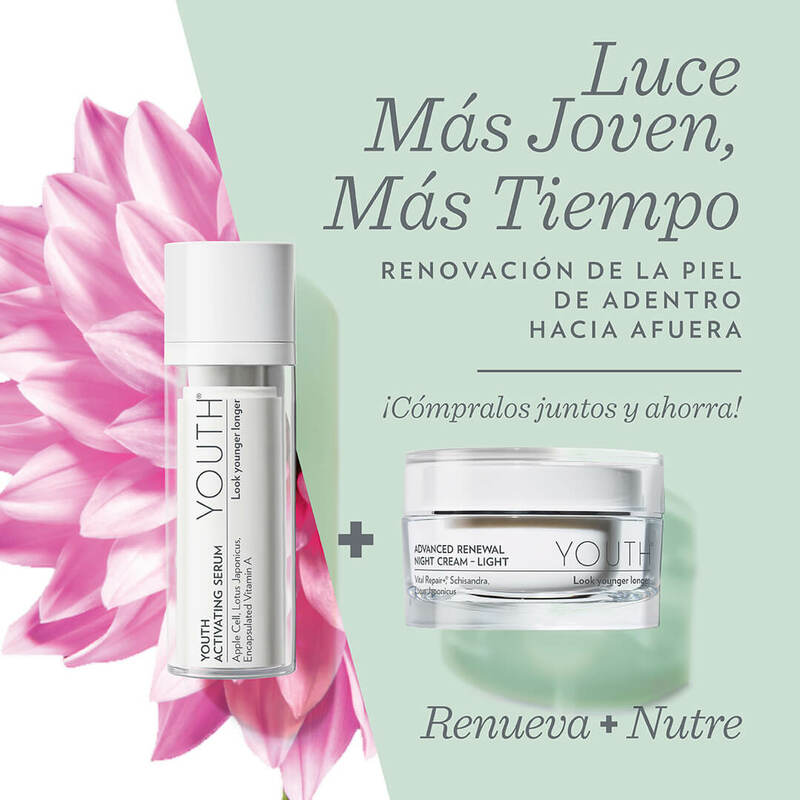 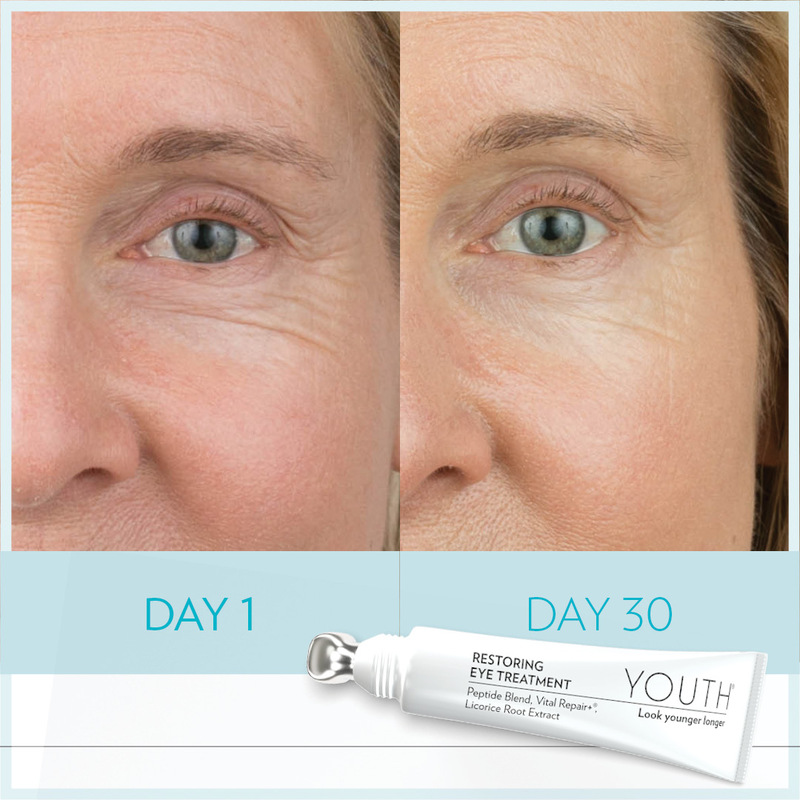 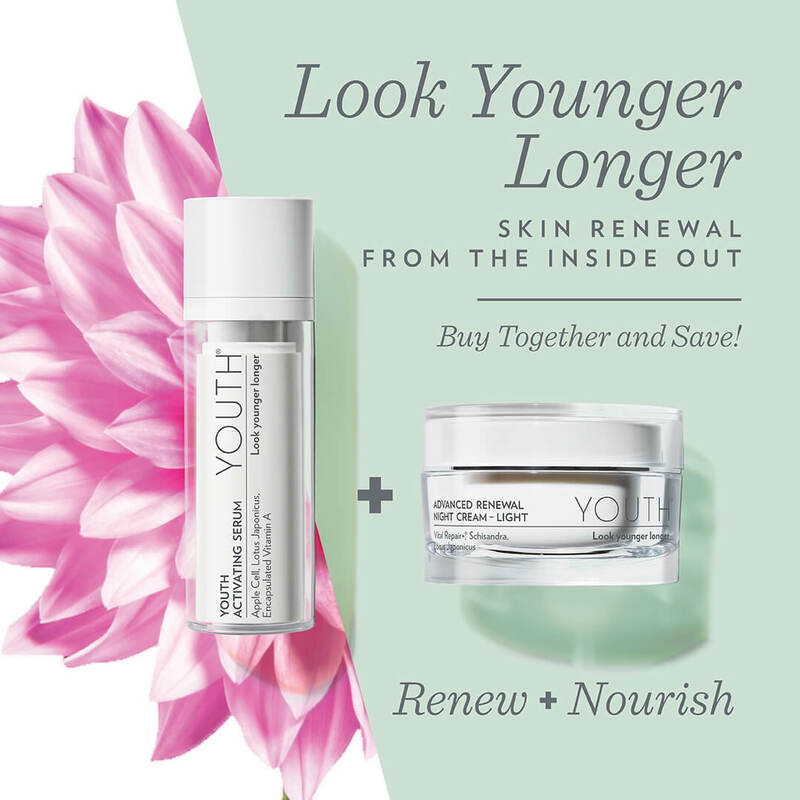 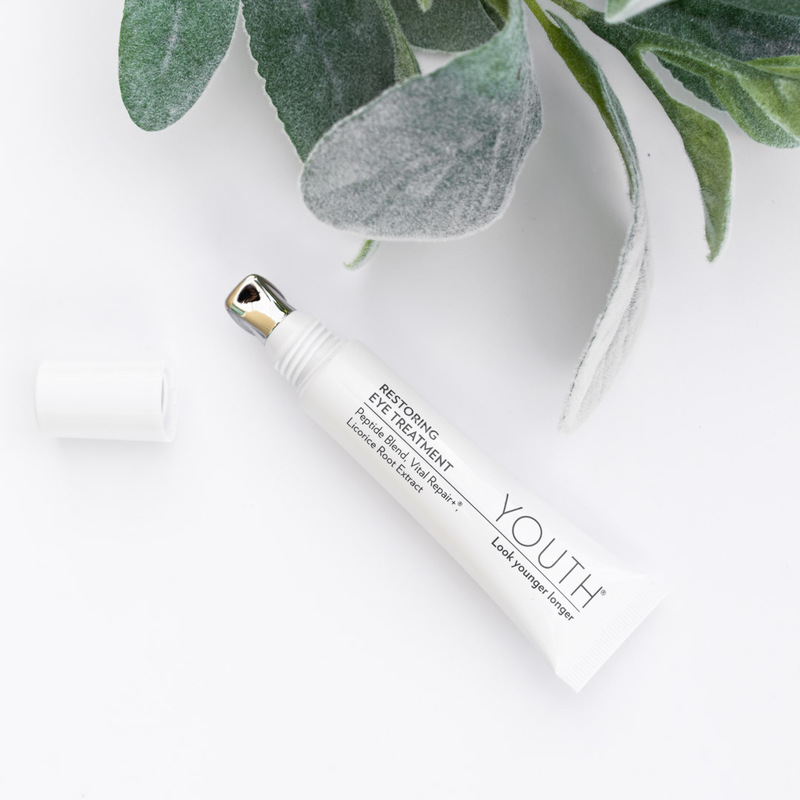 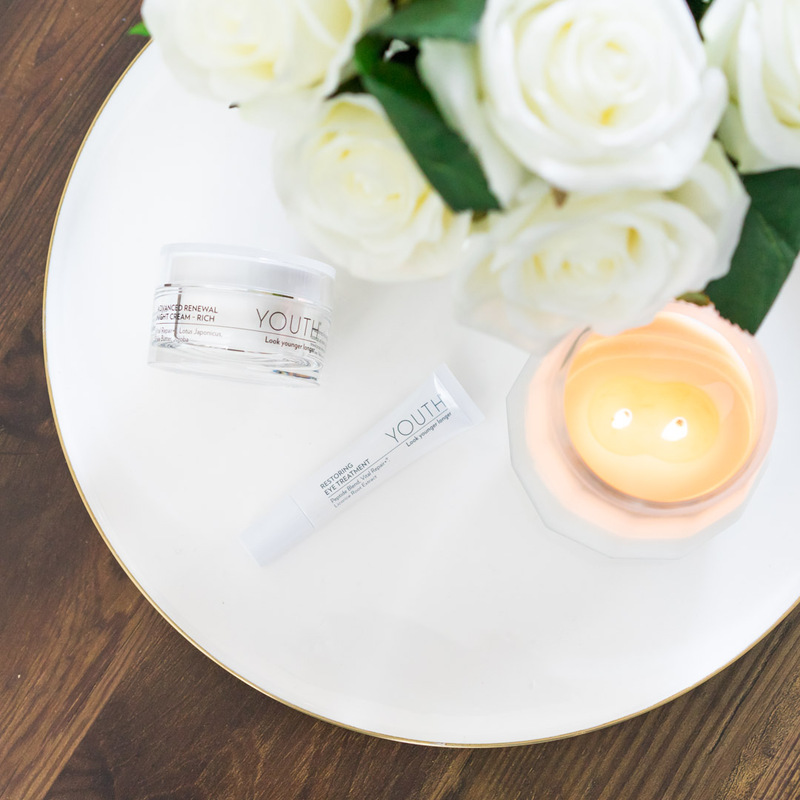 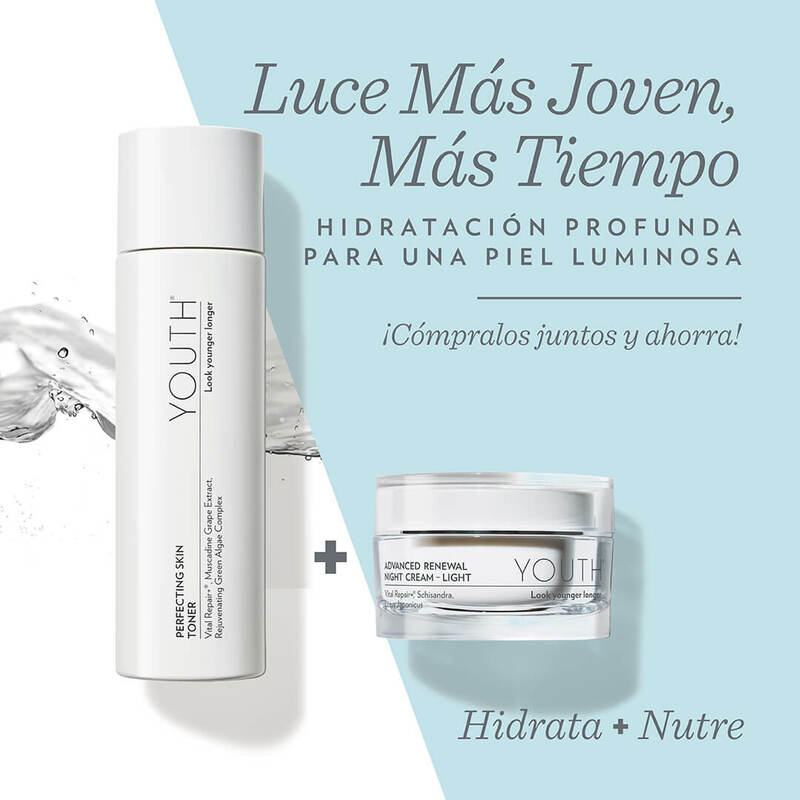 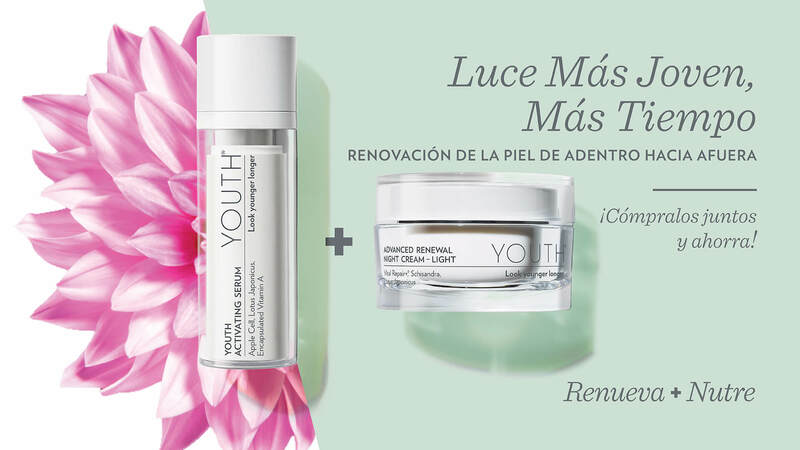 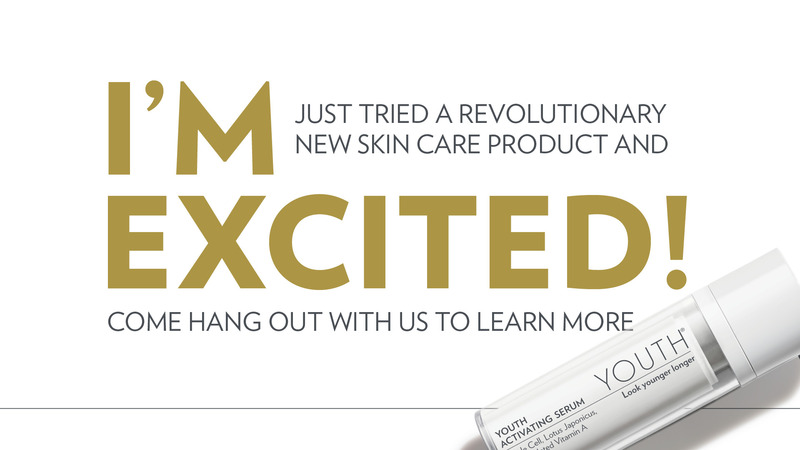 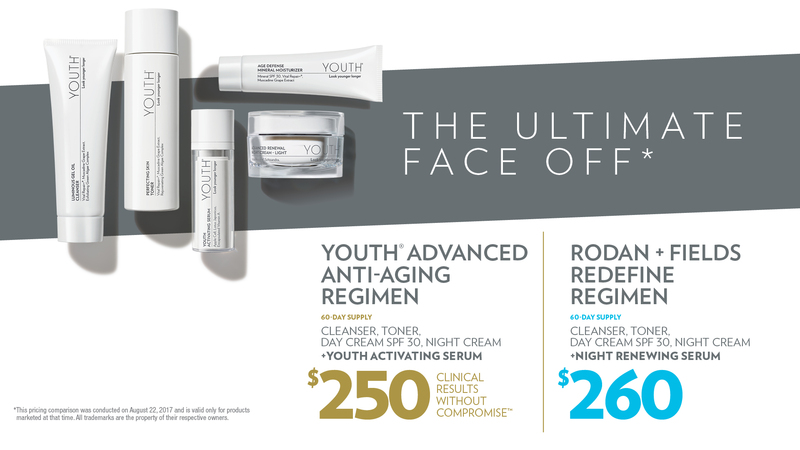 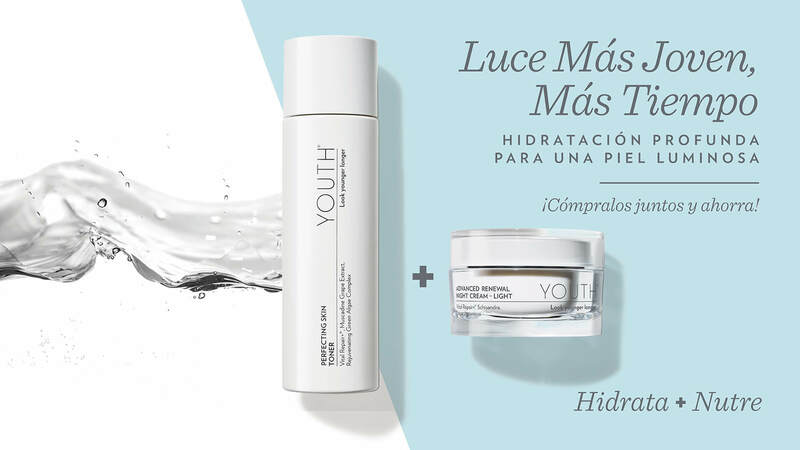 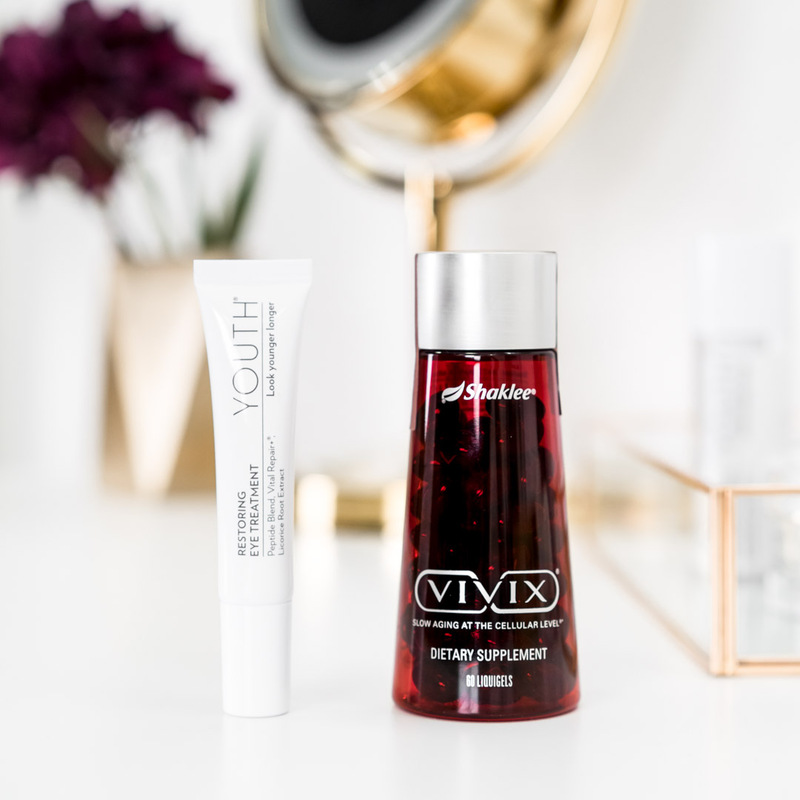 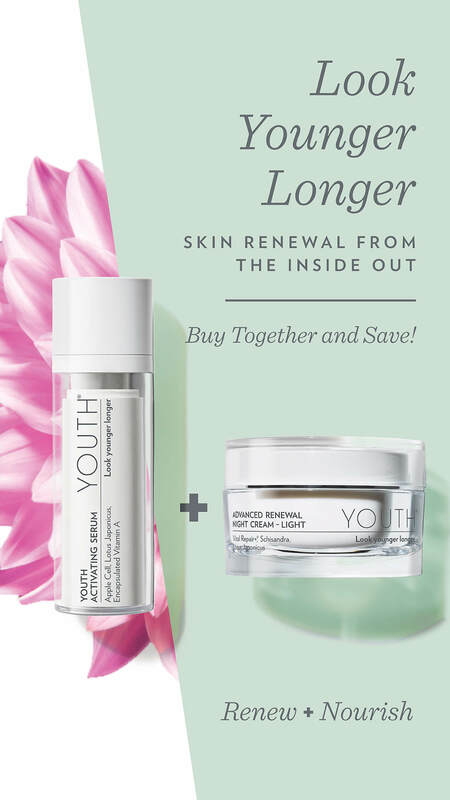 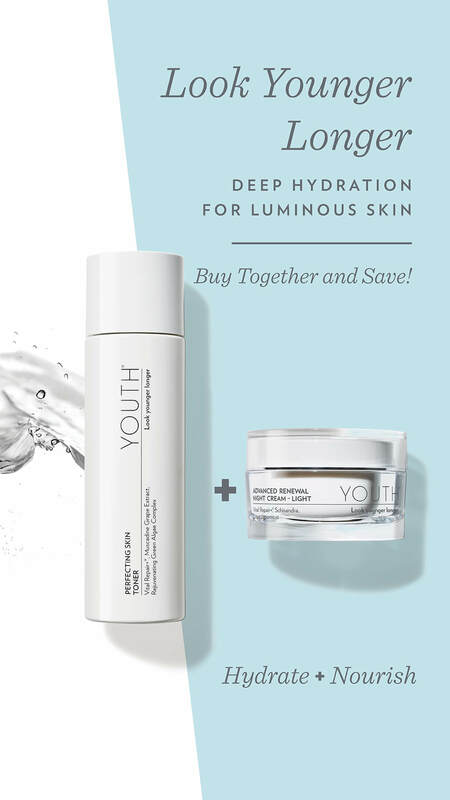 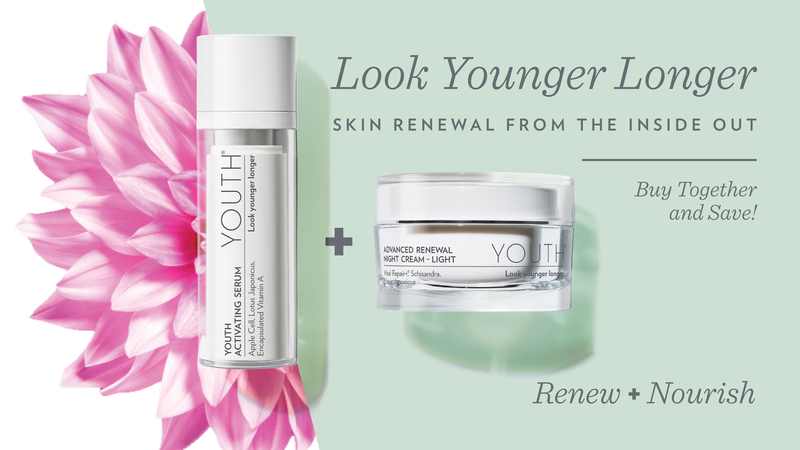 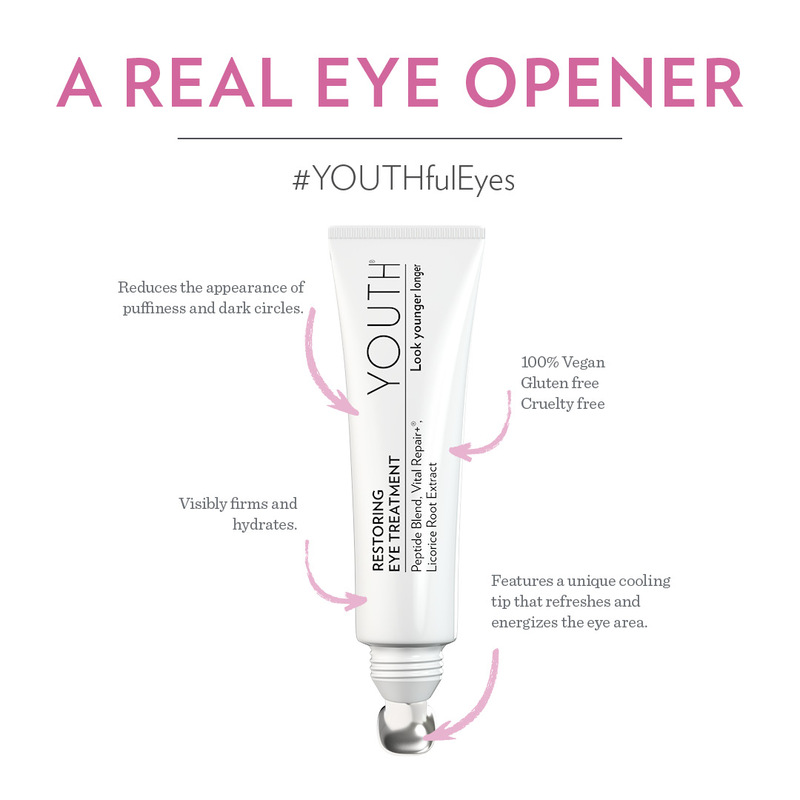 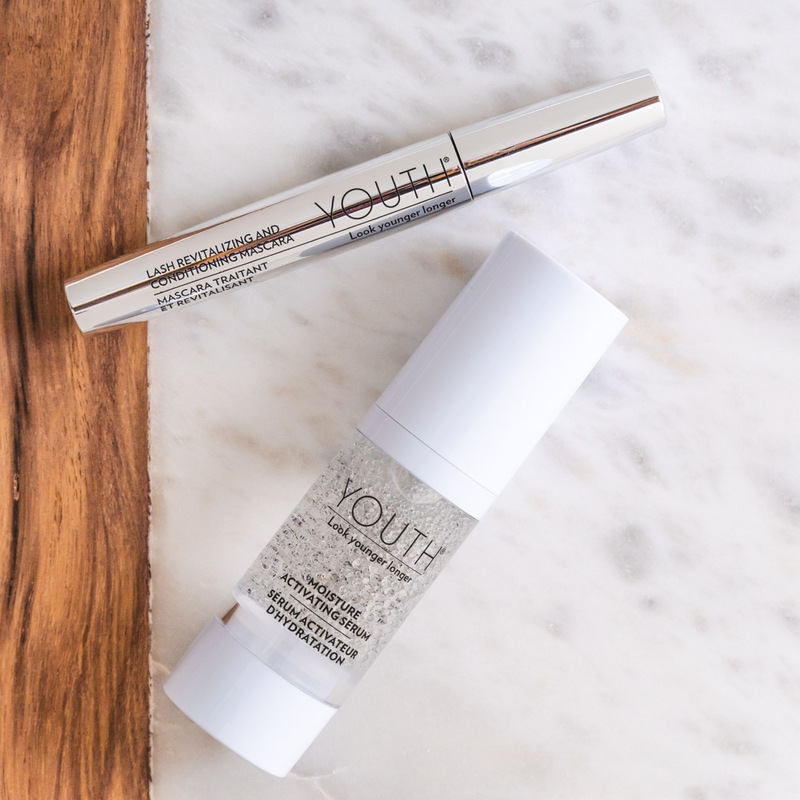 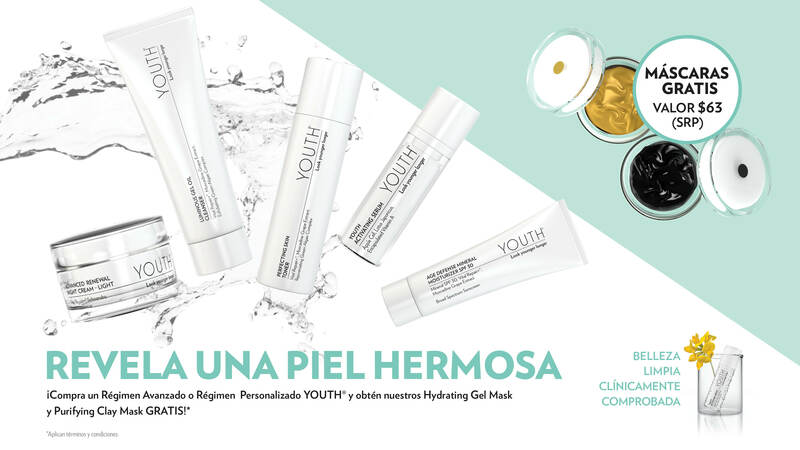 Overview of key product benefits of YOUTH® Advanced Anti-Aging Regimen. 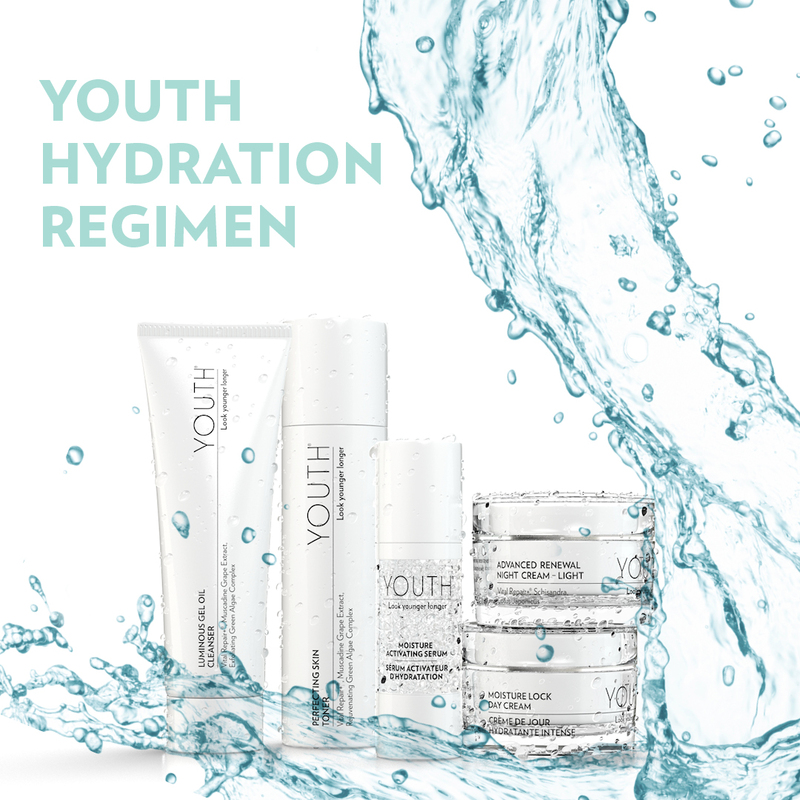 Overview of YOUTH Advanced Hydration Regimen. 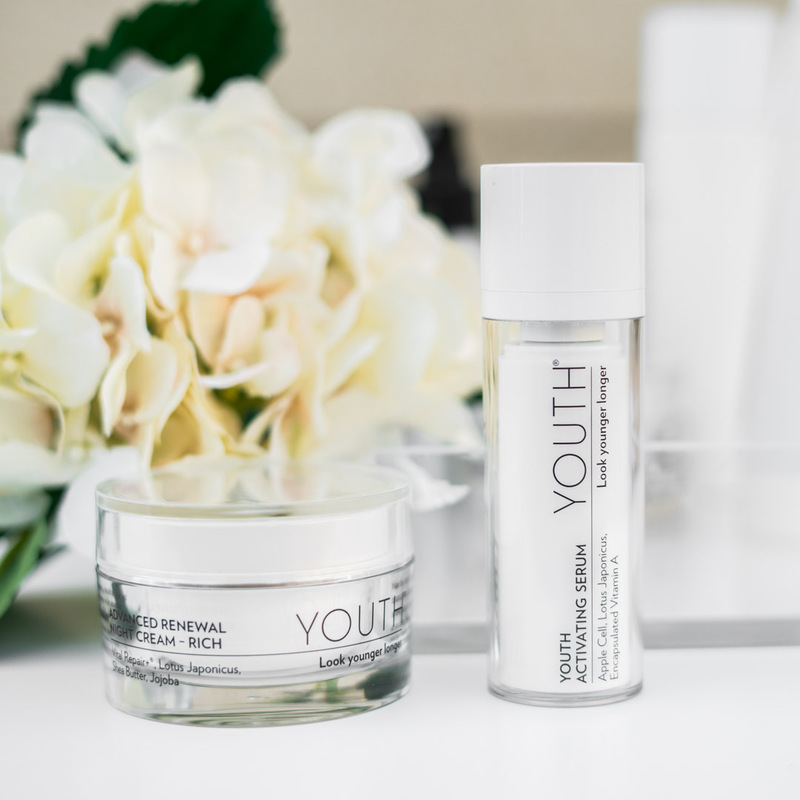 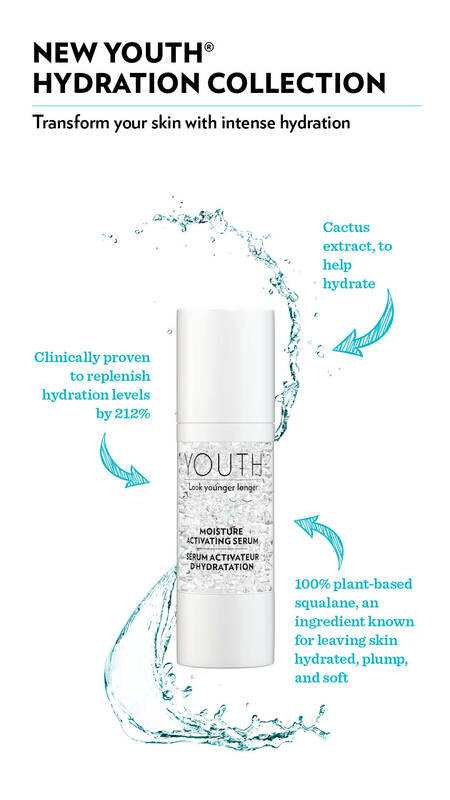 Overview of key product benefits of YOUTH® Radiance C+E product. 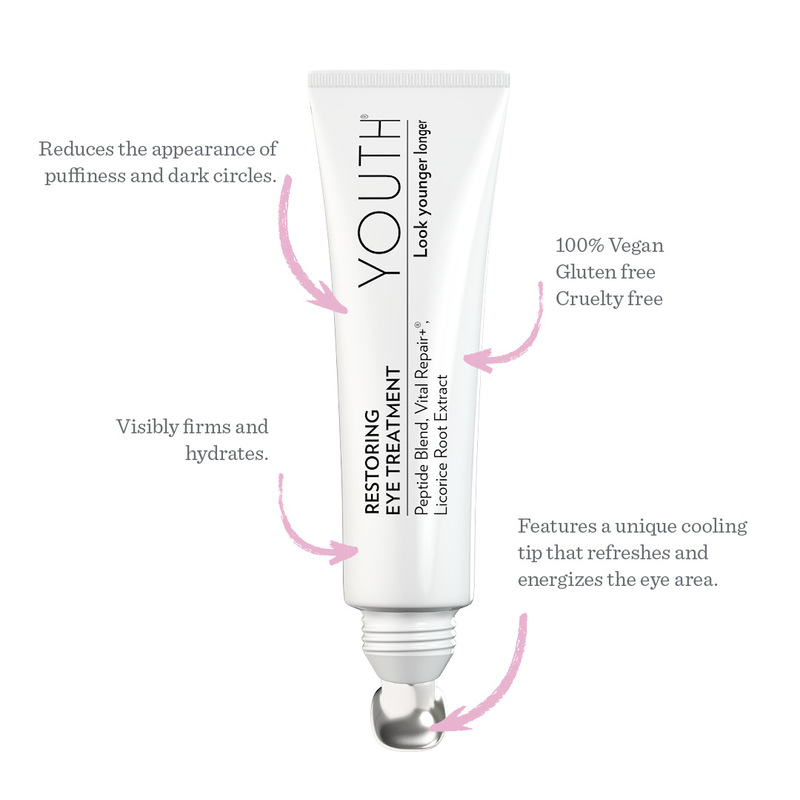 Overview of key product benefits of YOUTH® Activating BB Cream. 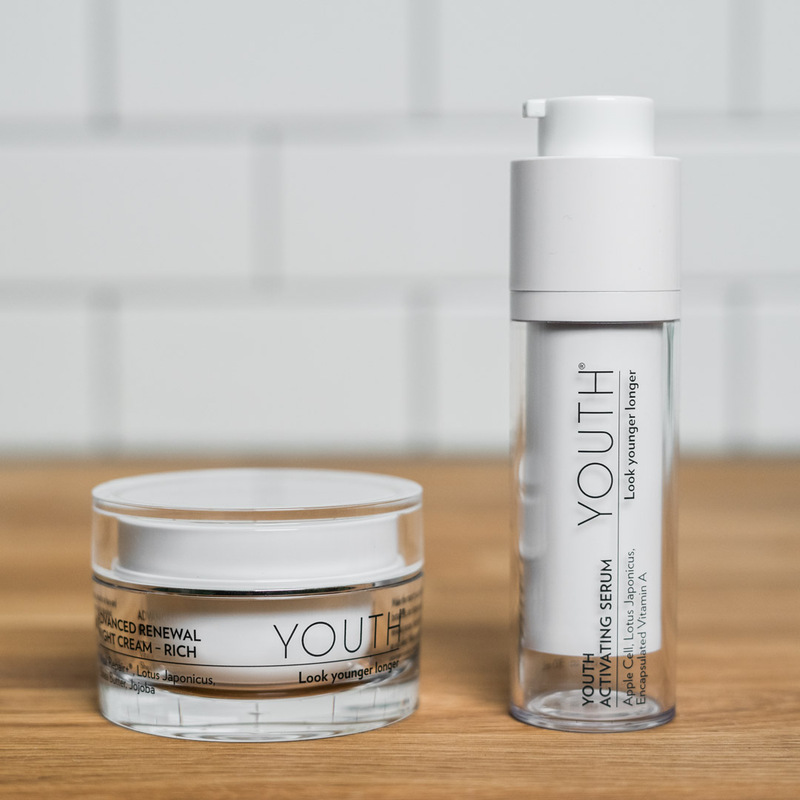 Price comparisons between YOUTH and other competitive brands. 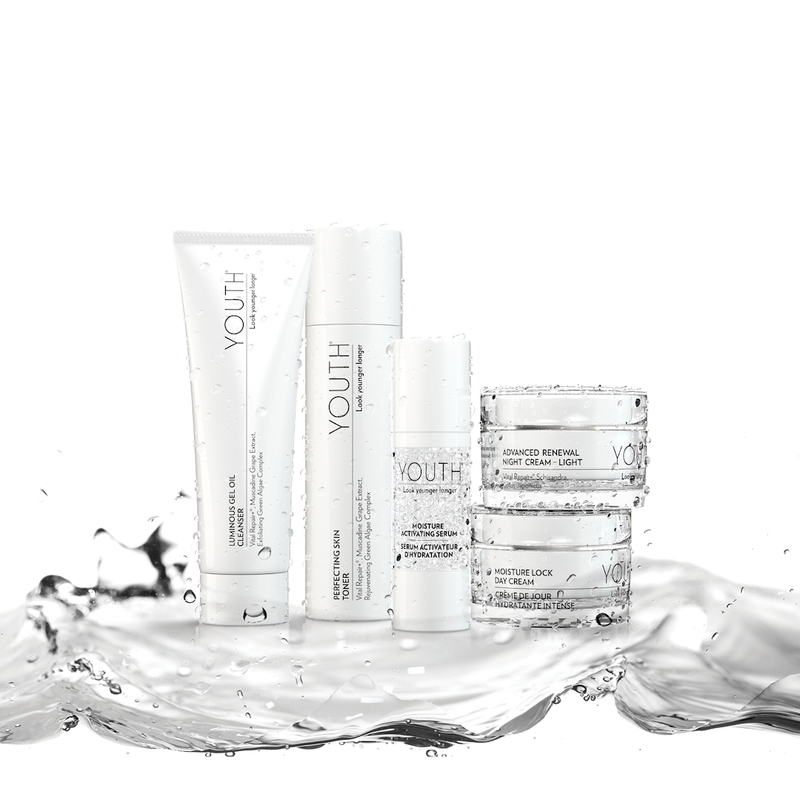 Responses to common questions regarding YOUTH skin care line. 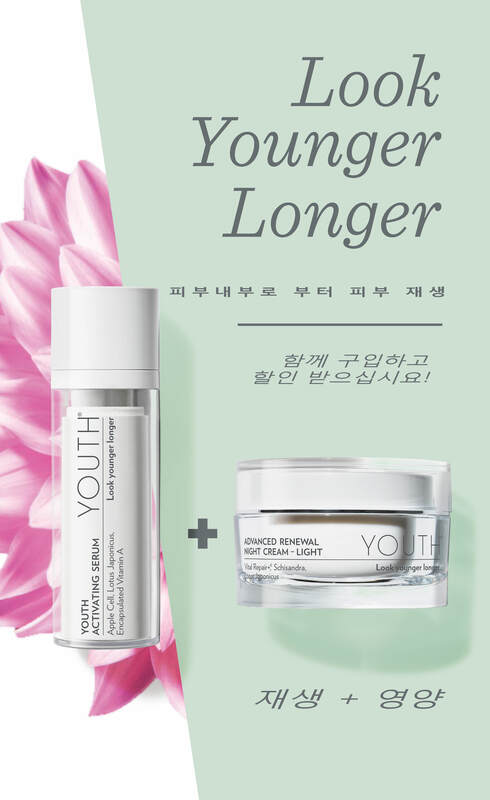 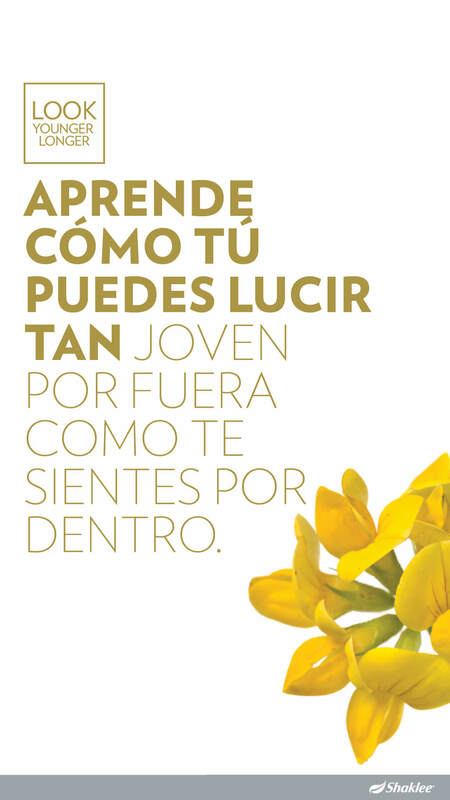 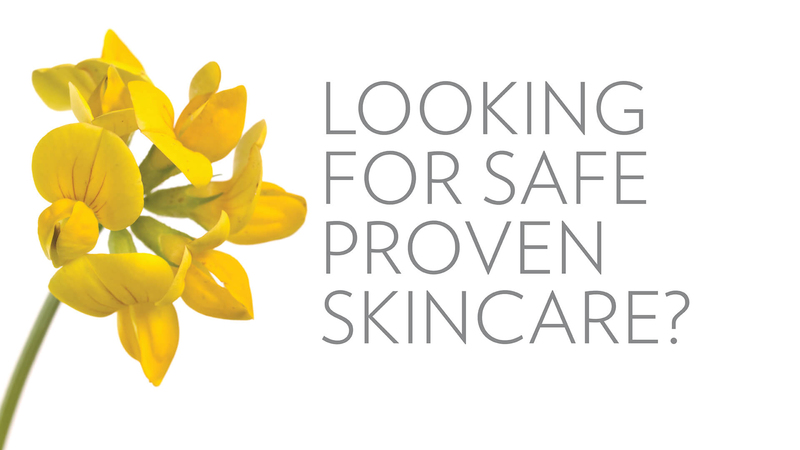 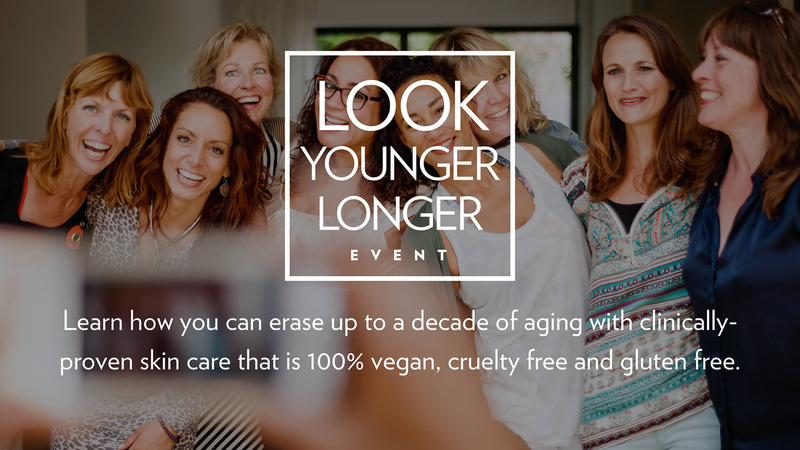 List of ingredients for YOUTH® Anti-Aging Skin Care Collection products. 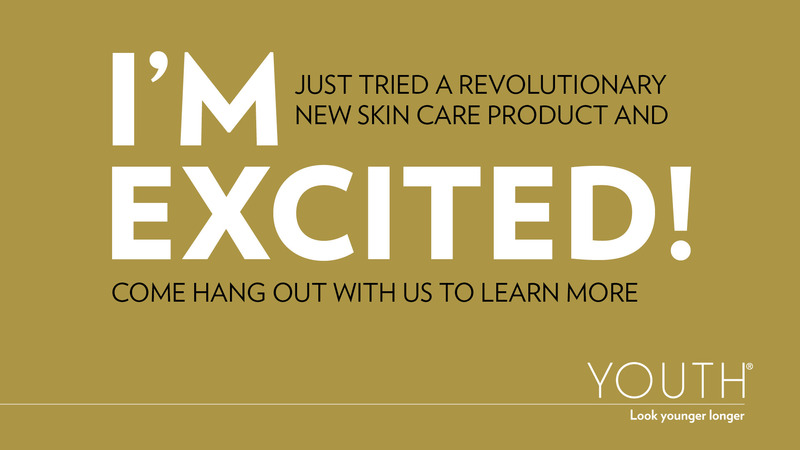 Use this beautiful, branded PPT template for your own 60 day Before & After testimonials. 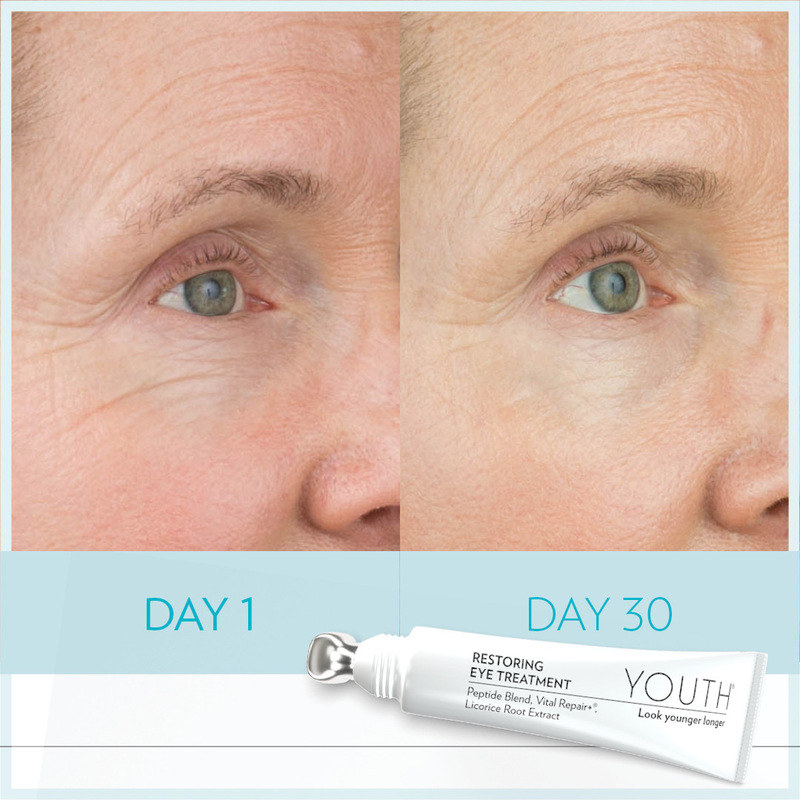 Before and After examples and templates using YOUTH Restoring Eye Treatment. 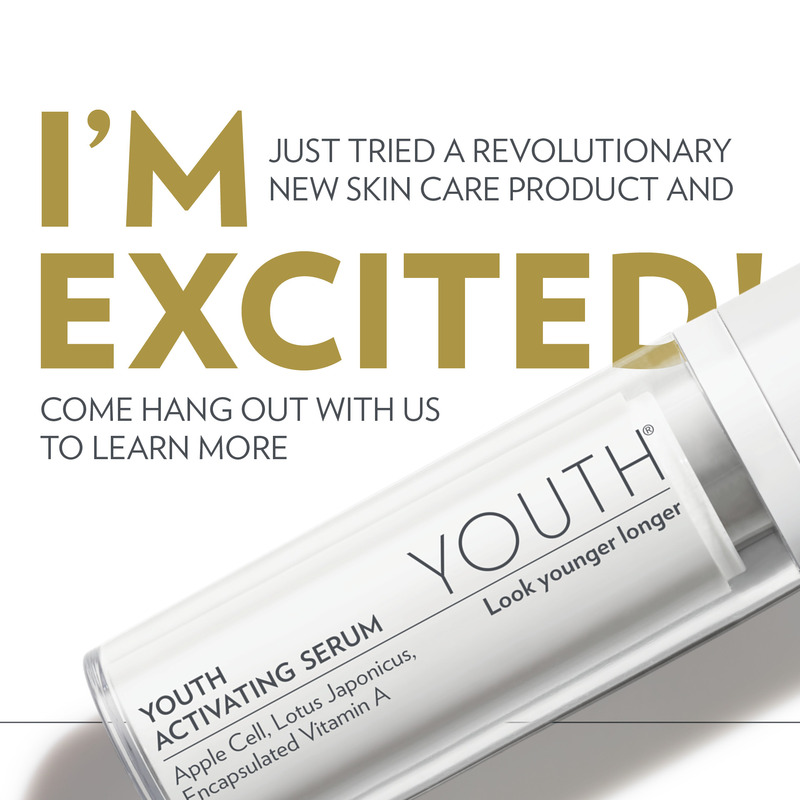 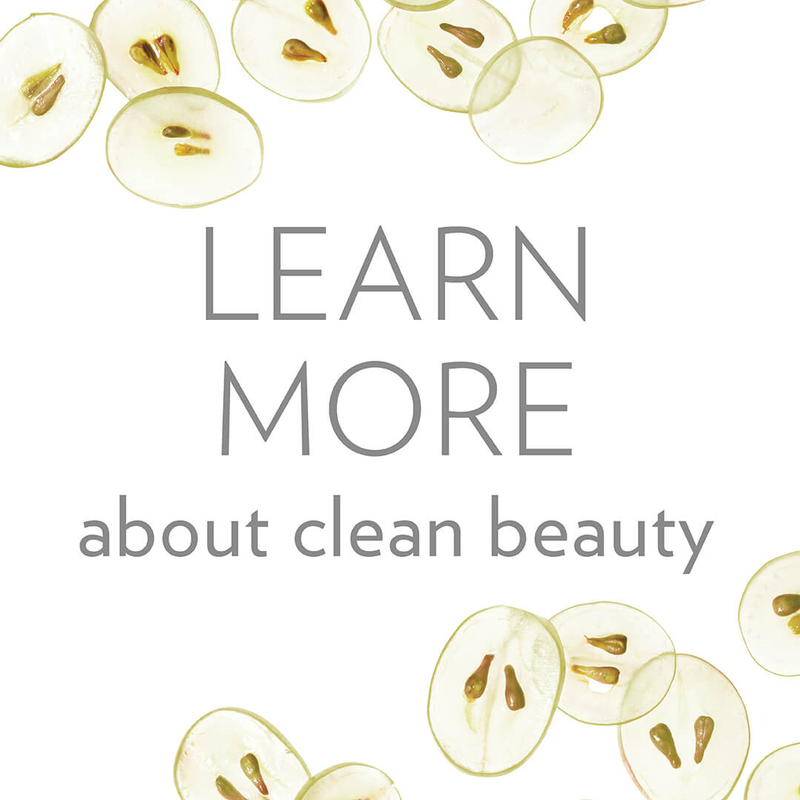 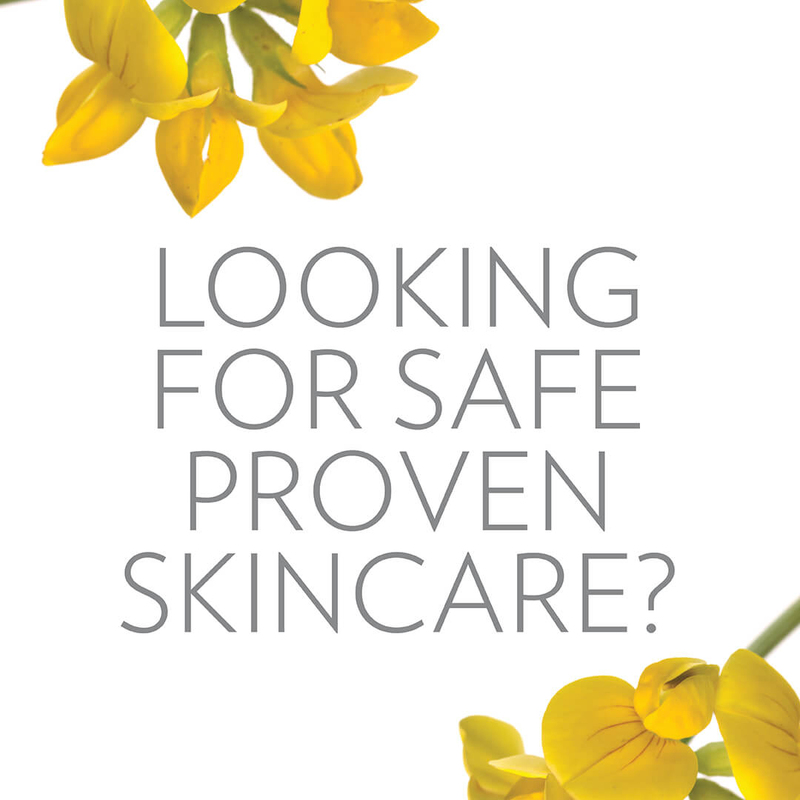 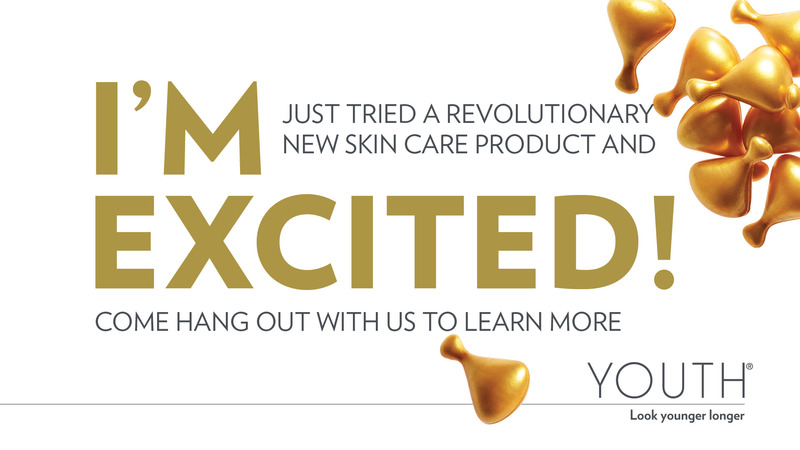 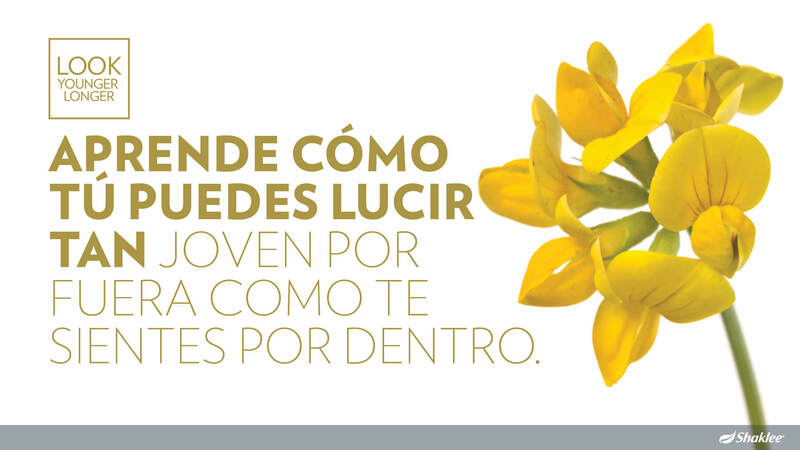 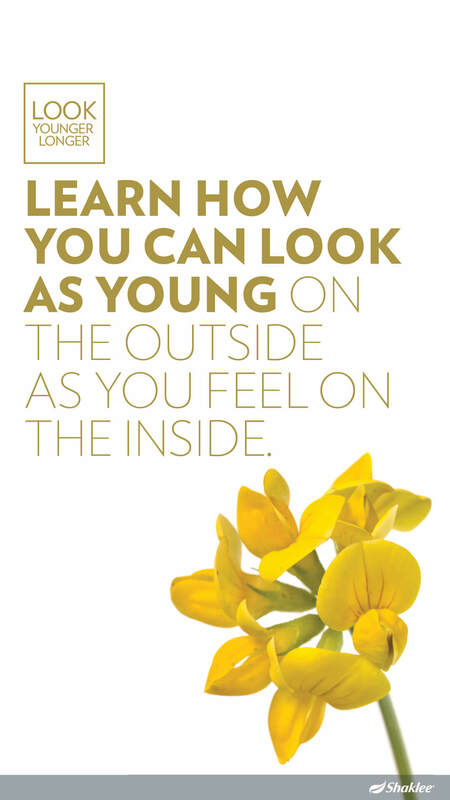 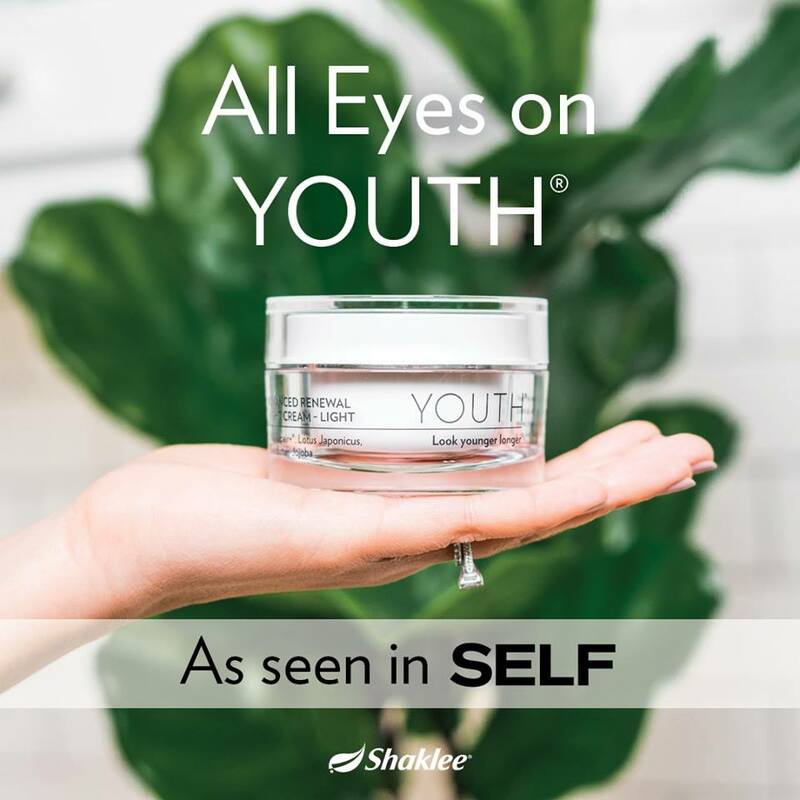 Informational insert that accompanies YOUTH Advanced Anti-Aging Regimen. 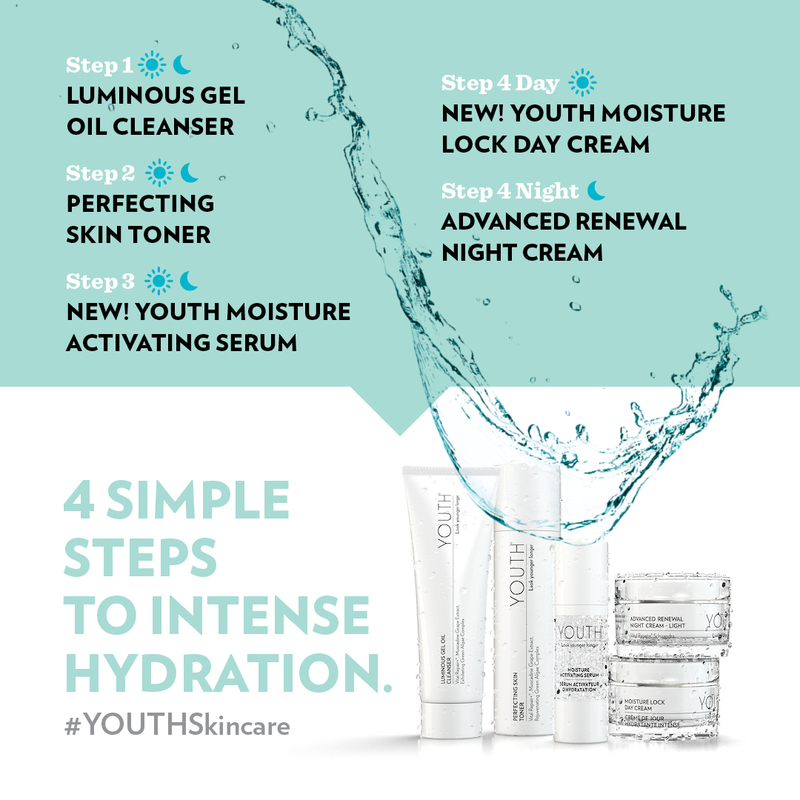 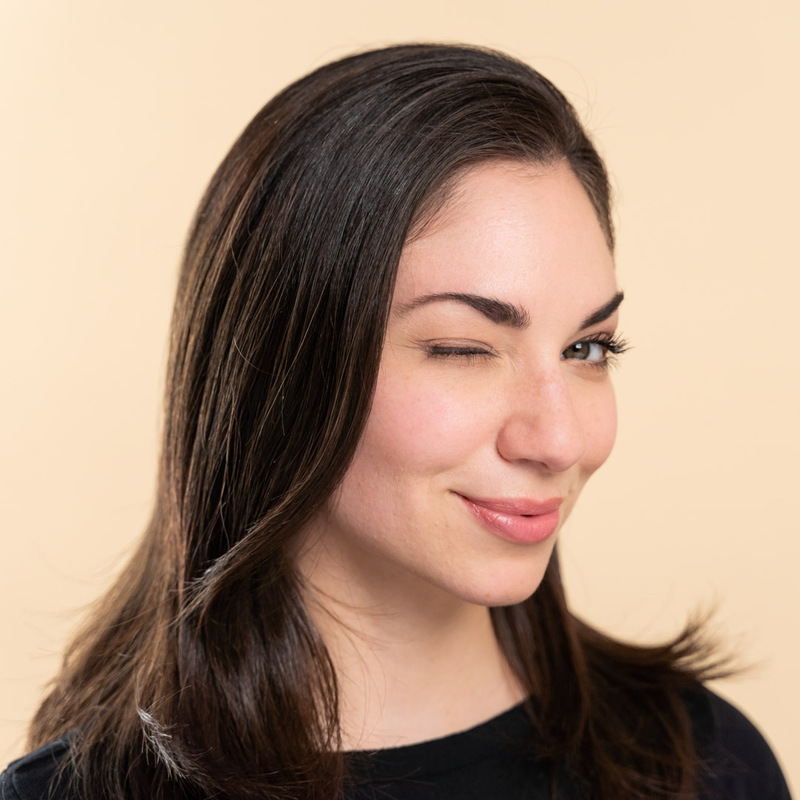 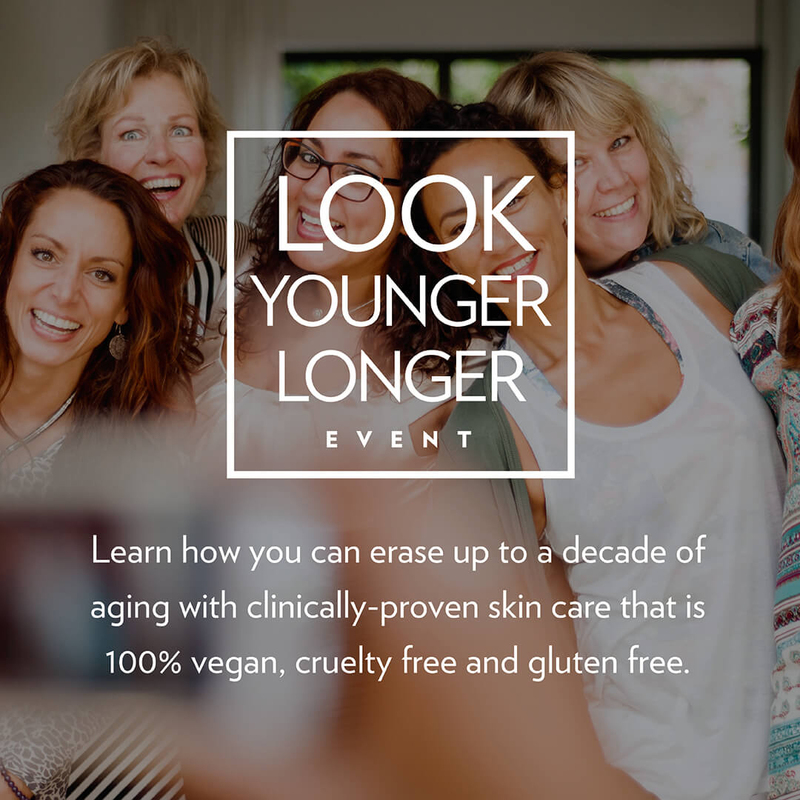 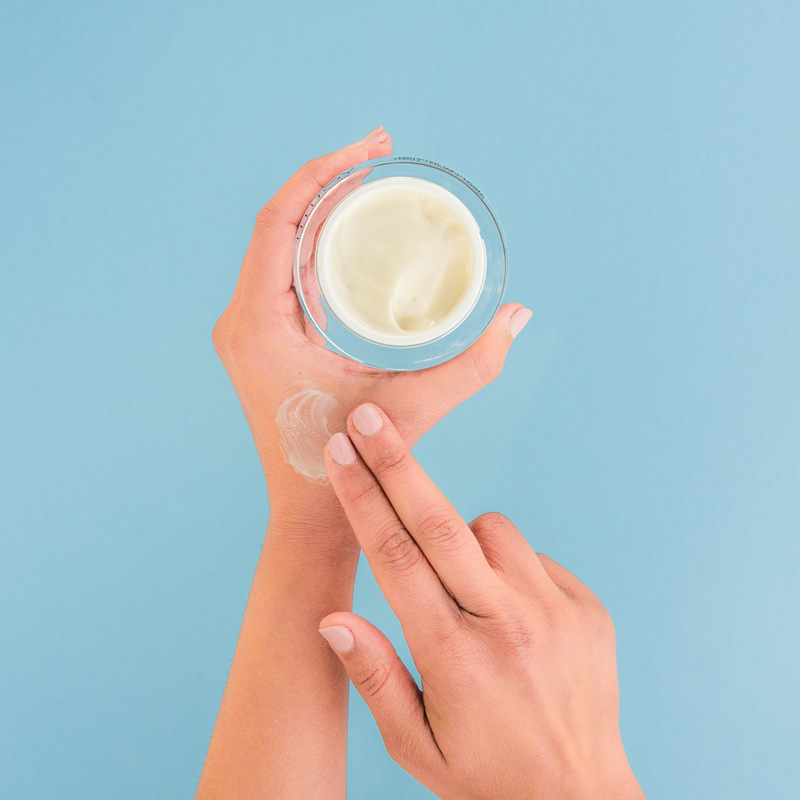 Learn how to do a quick and simple demonstration of all the YOUTH Skincare products on the back of the hand. 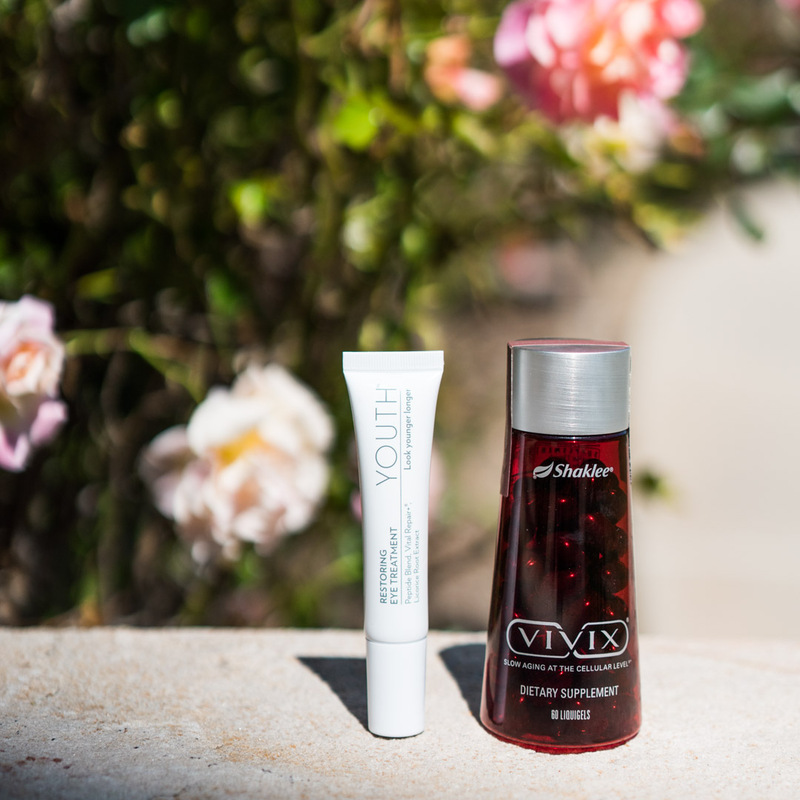 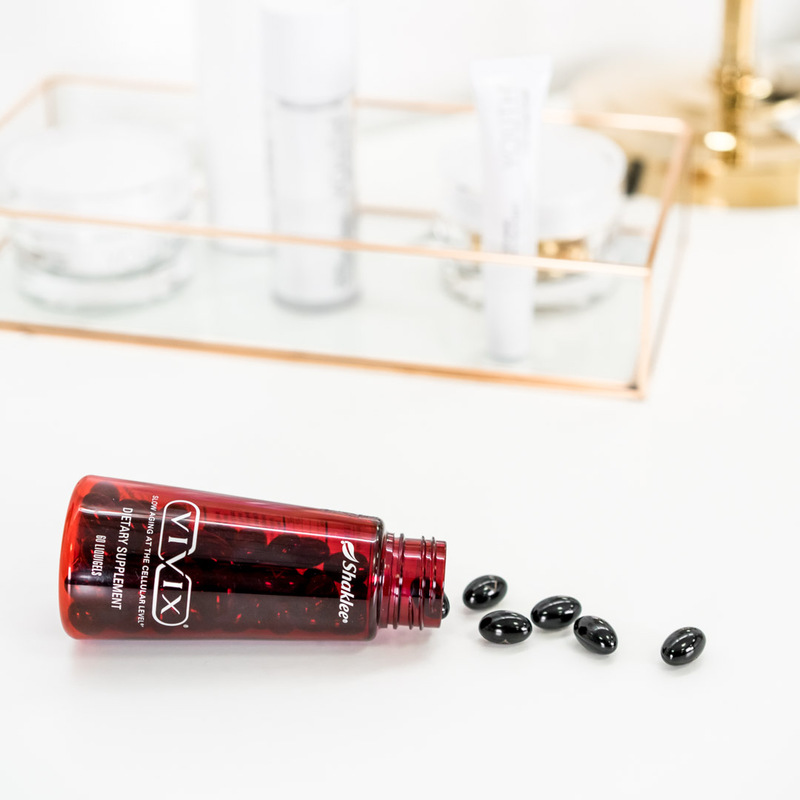 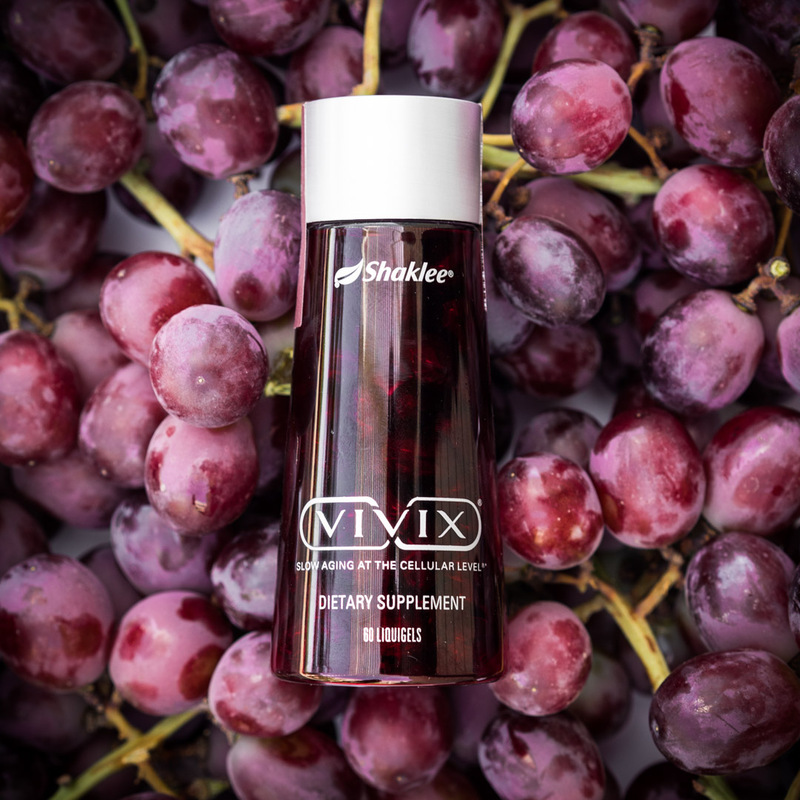 Imagery sized for Facebook or Instagram featuring Vivix. 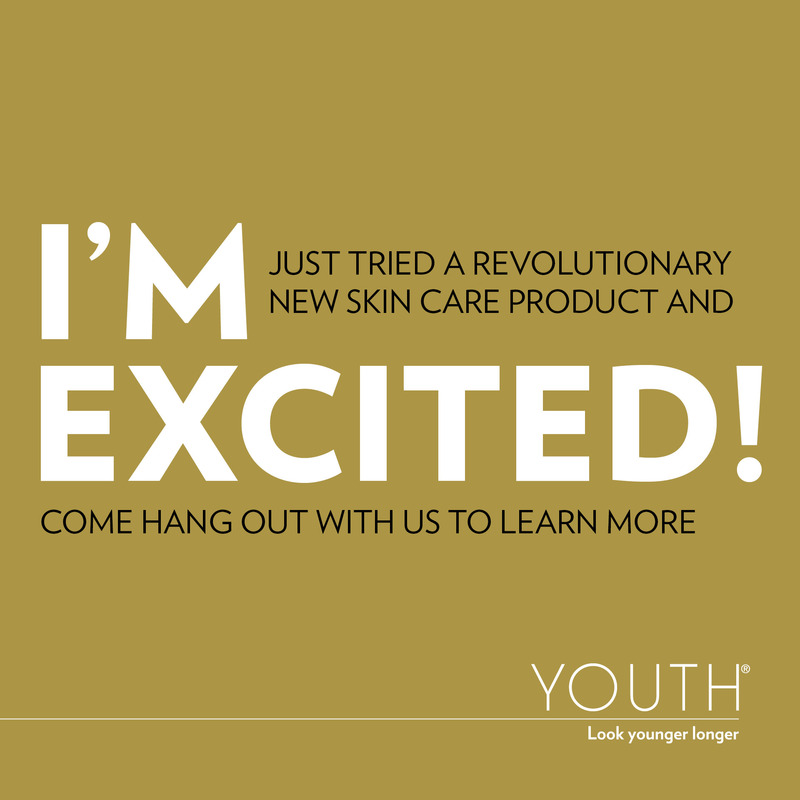 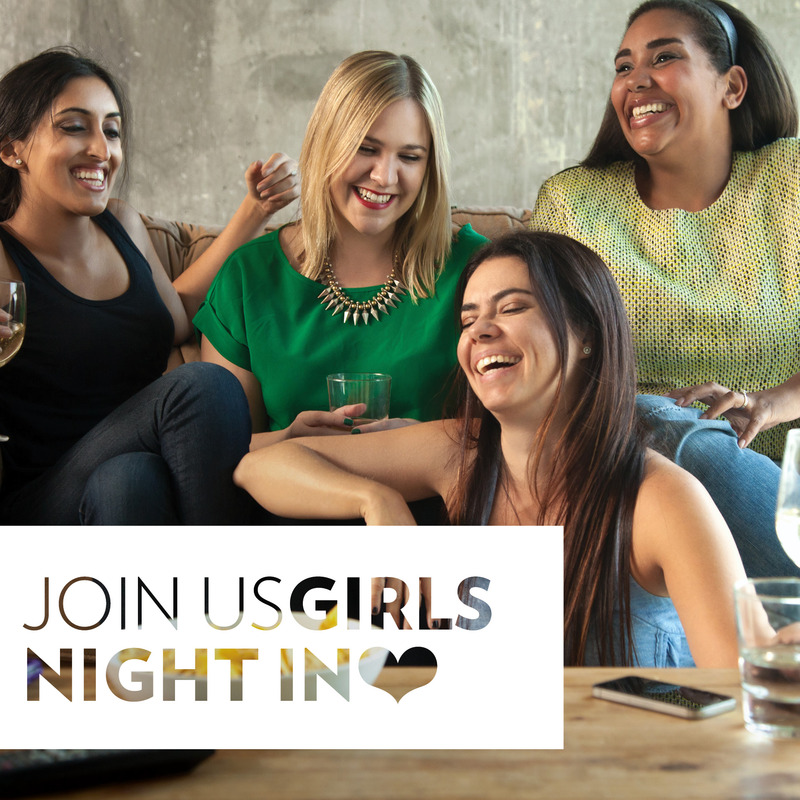 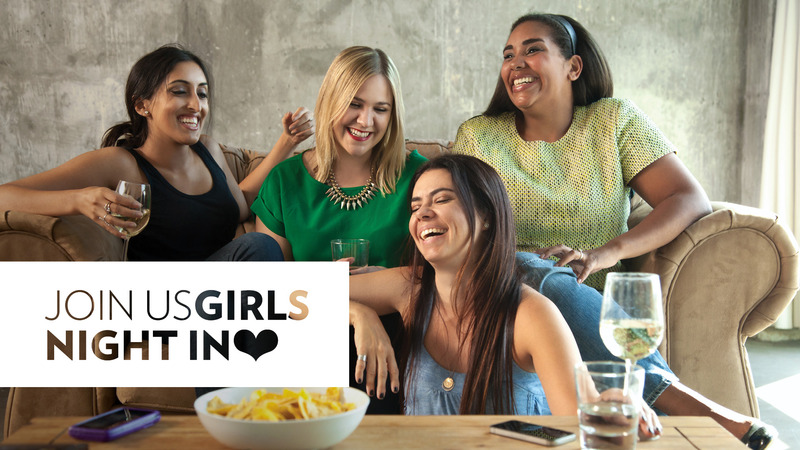 Series of social posts for use in creating interest for YOUTH LYL events. 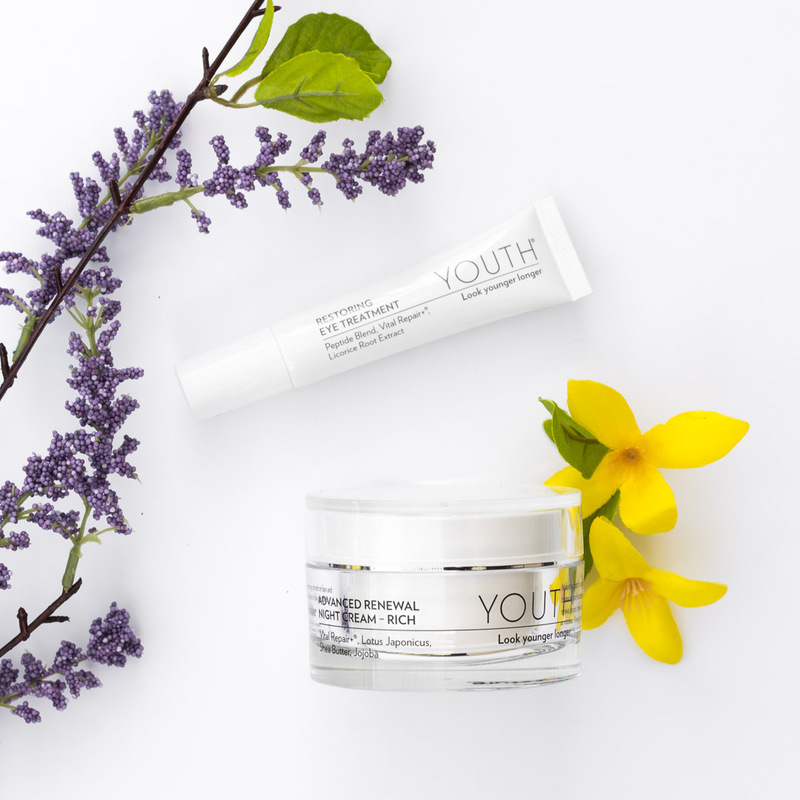 Series of images featuring products in the YOUTH skincare collection. 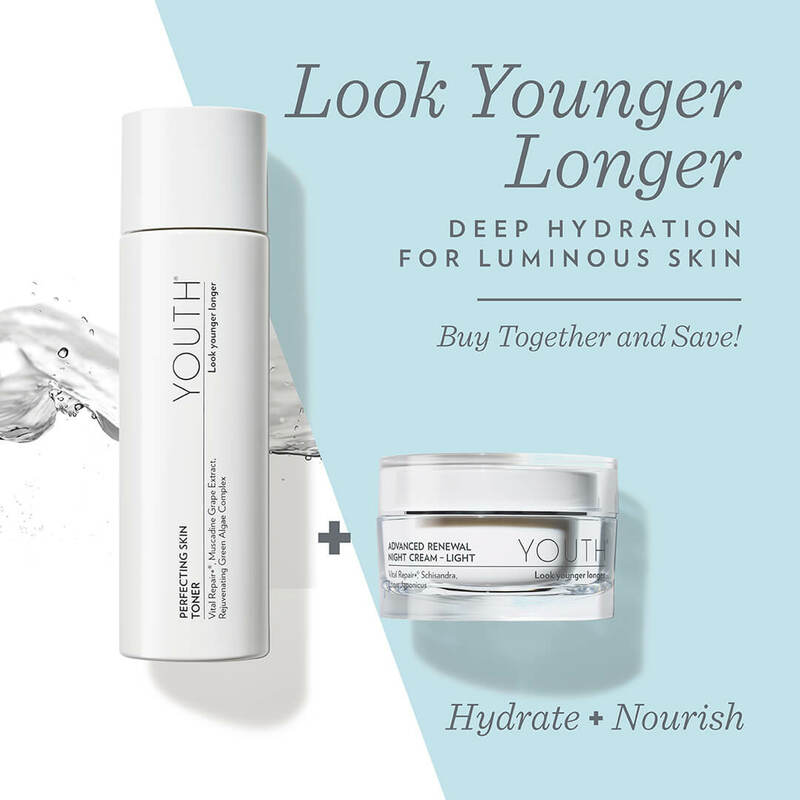 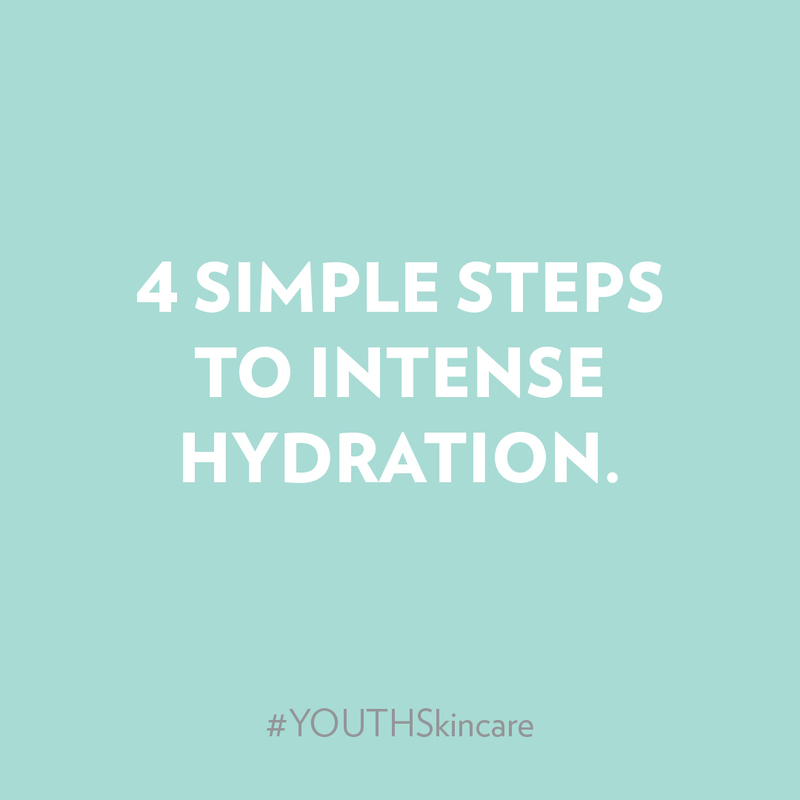 Generic YOUTH® Hydration and Mask imagery for social. 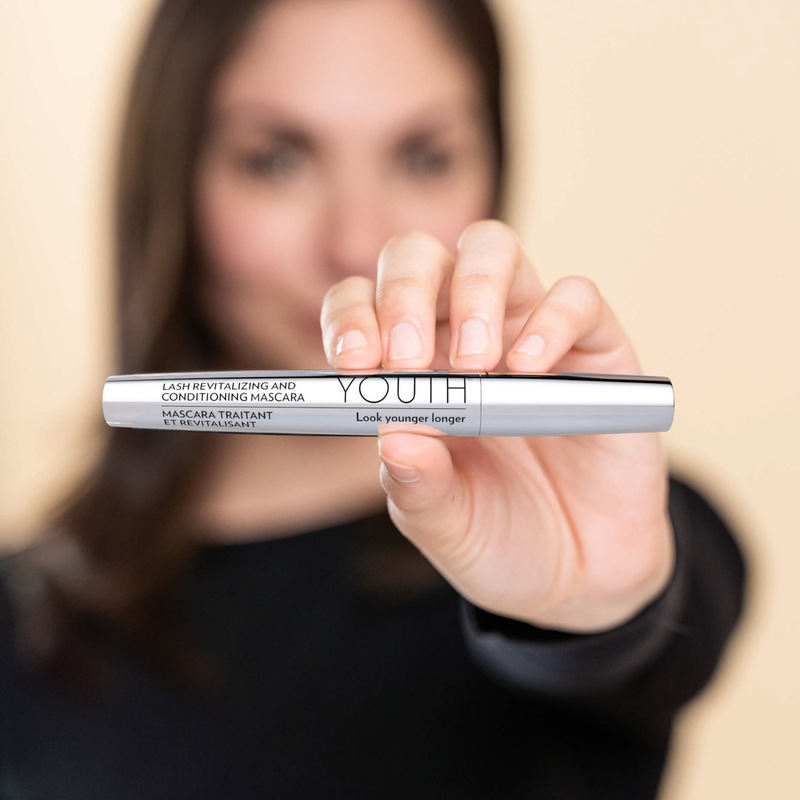 Animation for use in promoting YOUTH® Power Duos. 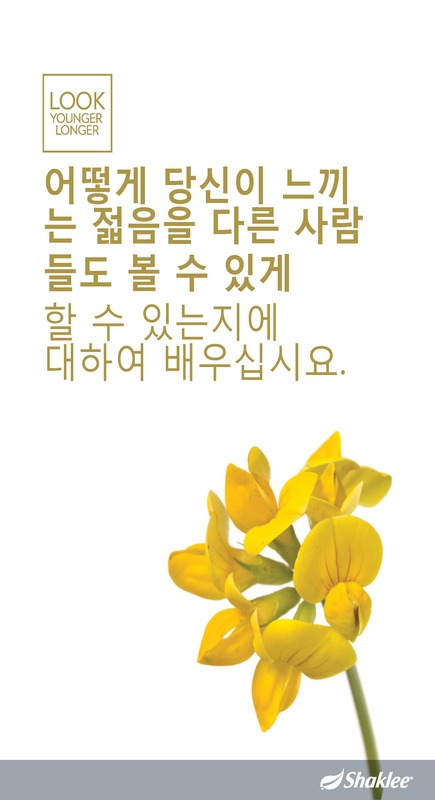 See full description for download instructions.